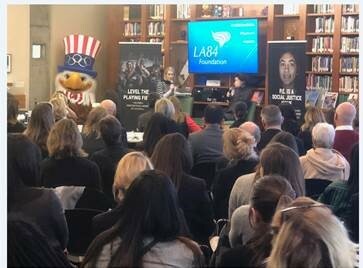 LOS ANGELES – Today, the LA84 Foundation announces more than $2 million in grants to Southern California school-based and community youth sports organizations for its Spring grant cycle, serving over 57,000 youth in over twenty-one sports across seven counties. 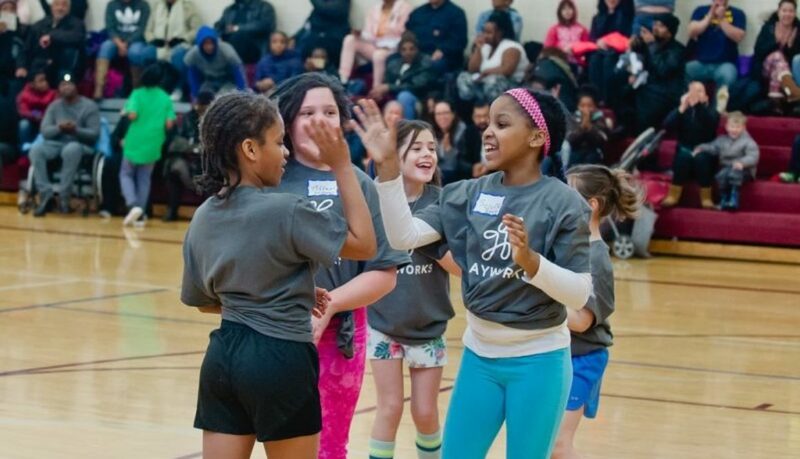 This grant docket consists of a mix of organizations with a range of programs that support sports-based youth development efforts. The LA84 Foundation’s #PlayForAll movement aims to get every child life ready through sports, regardless of zip code. Many of today’s grants reflect the LA84 Foundation’s commitment to dealing with a crisis that is hiding in plain sight – that not all kids have equal access to sport and structured play. The LA84 Foundation’s commitment to closing the play equity gap is illustrated in the breadth and range of the grants announced today. Funds are going to school-based programs to support kids in the places where they spend most of their time; to significant commitments in the Inland Empire; and to contribute in meaningful ways to support the expansion of sports opportunities for young people with physical disabilities. 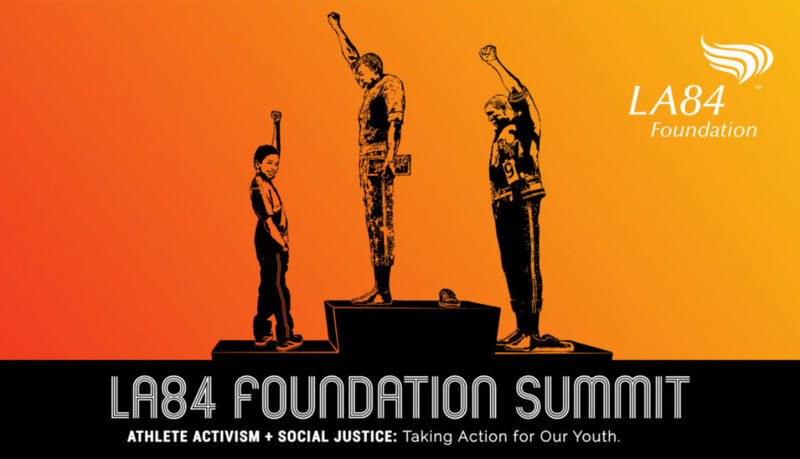 So, how are LA84’s grantees supporting Southern California communities? For The First Tee of the Inland Empire, a $56,000 grant will fund an afterschool golf program (The First Tee DRIVE) at twenty-one schools in Riverside and San Bernardino counties. All youth are able to participate in this program at no cost to them and have access to all necessary equipment needed to participate. The First Tee DRIVE afterschool program is designed to introduce kids to golf and The First Tee’s Nine Core Values – respect, courtesy, responsibility, honesty, sportsmanship, judgement, perseverance, and integrity. This afterschool program is a fun, engaging opportunity for young people and is designed to develop rewarding, inspiring values for everyone who participates. A $49,000 grant will help Challenged Athletes, Inc., fund their Challenged Athletes Foundation High School Sports Initiative (CAF HSSI). CAF HSSI aims to make athletic opportunities more available and accessible to youth with permanent physical disabilities so they can participate in high school sports like every other kid their age. The program paves the way for track and field team inclusion and the true celebration of an even playing field. 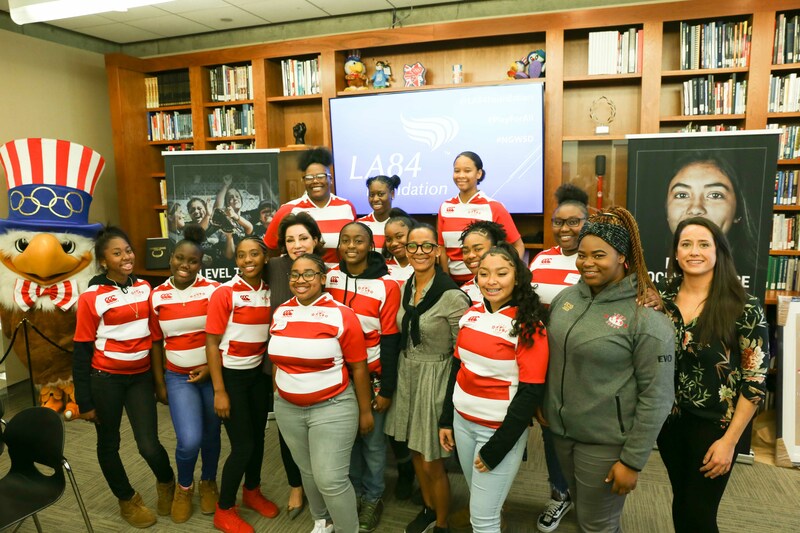 Over at Barrio Logan College Institute (BLCI) a $45,000 grant will help to fund their sports program called Youth and Leaders Living Actively (YALLA). BLCI’s mission focuses on breaking the cycle of poverty through educational achievement. Since 1996, they have prepared underserved students to be the first in their families to enroll and succeed in college through afterschool programs that begin in third grade. The year-round program is offered at two elementary schools and one middle school in the Cajon Valley Union School District. Youth compete in the El Cajon Recreation Youth Soccer League as well as the Cal South Soccer League, in addition to scrimmages. BLCI also offers street soccer open to the community on Sundays. For Urban Surf 4 Kids (US4K), a $13,000 grant will help provide some of the most vulnerable youth in San Diego County with therapeutic surfing opportunities. The California Department of Education reports that over 70% of the youth in the Cajon Valley Union School District are either in foster care or are eligible to receive free / reduced price meals, suggesting the majority of youth attending these schools come from families in need. Nearly 100% volunteer driven, US4K’s leadership and coaches are committed to creating a transformative experience for these youth, aligning commitment to LA84’s goal of play equity. US4K works closely with the city of San Diego and local police departments to help connect the youth to their community and nurture a positive relationship with law enforcement, all while teaching kids to surf. 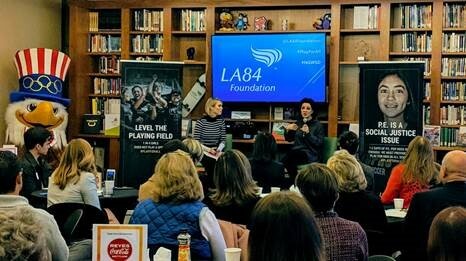 The LA84 Foundation is a nationally recognized leader in support of youth sport programs and public education about the role of sports in positive youth development. 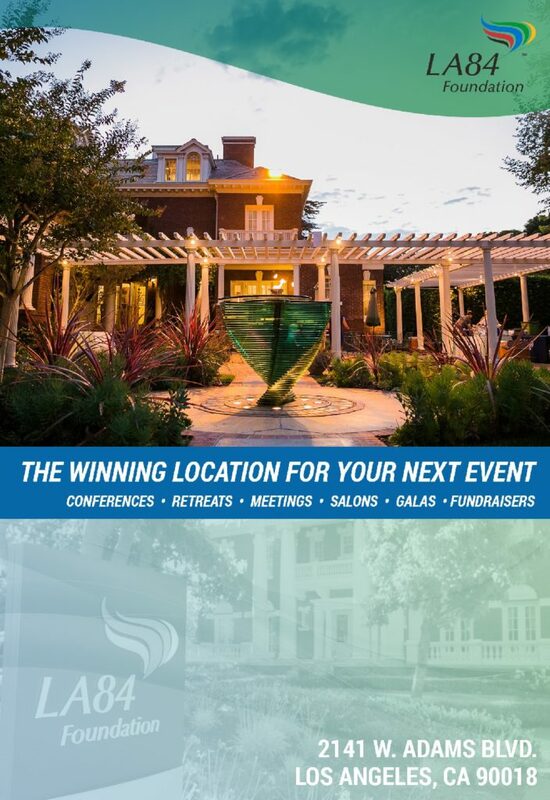 The foundation, with 30 years of on-the-ground experience, has supported thousands of Southern California youth sports organizations through grant making, while also training coaches, commissioning research, convening conferences and acting as a national thought leader on important youth sports issues. 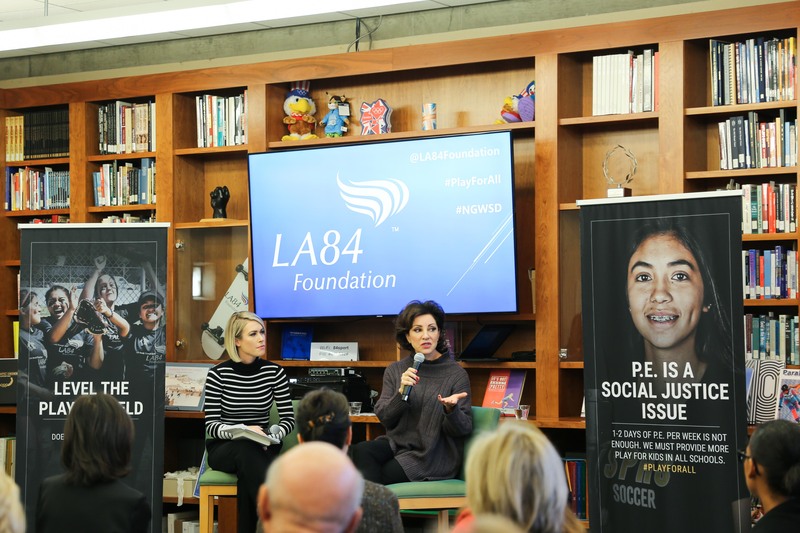 LA84 levels the playing field to ensure play equity so that sport is accessible to all children, while elevating the field of youth sports as an integral pathway to lifelong well-being. 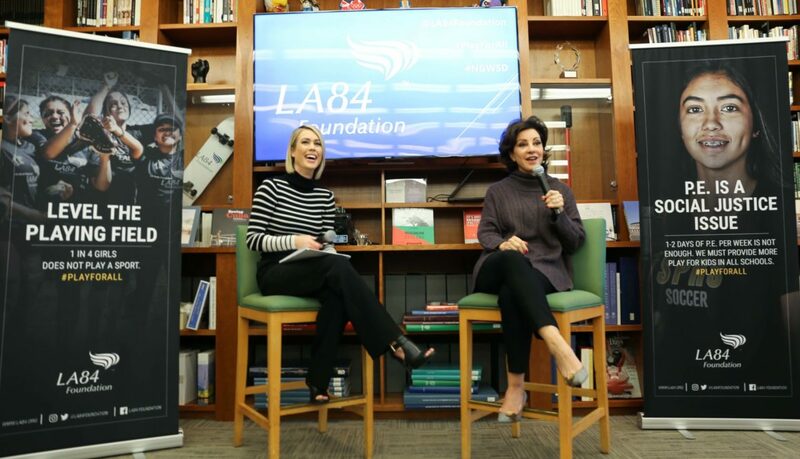 To learn more and join the #PlayForAll movement, visit www.la84.org and @LA84Foundation on Twitter and Instagram. 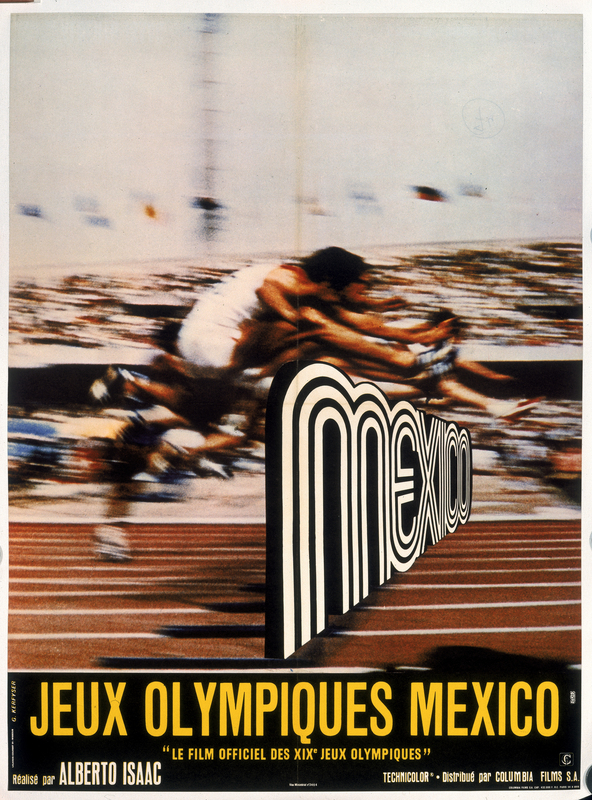 XIX Olimpiada Mexico Advertising Poster. 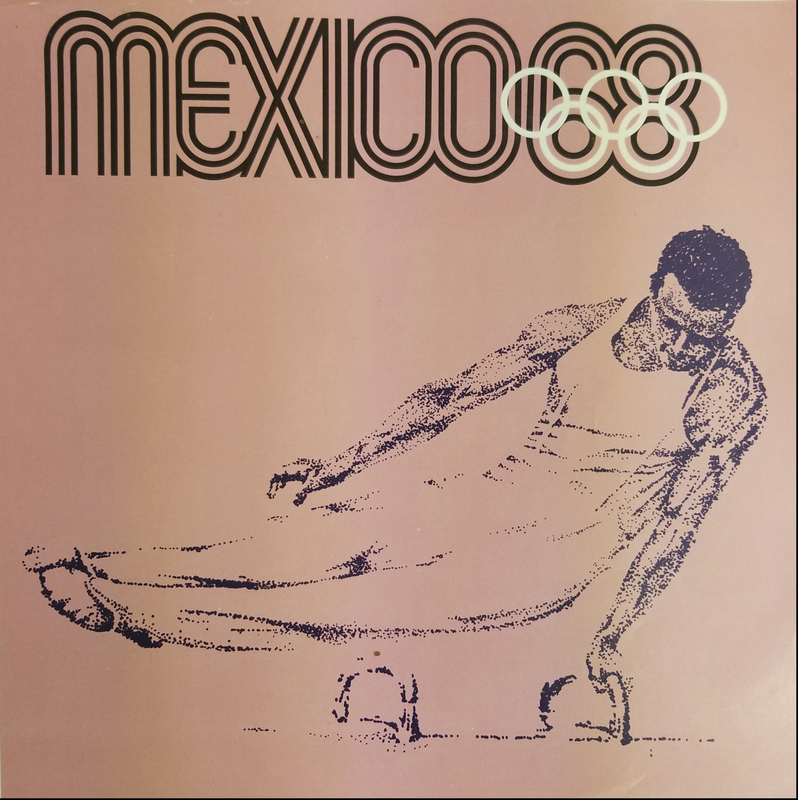 Offset Lithograph 37 ½ x 37 ½ inches Comité Organizador de la XIX Olimpida Departmento de Diseño Impresa en Mexico Por Impresos Automaticos de Mexico, S.A.
Mexico 68 XIX Olimpiada Sports Poster, Balance Beam. 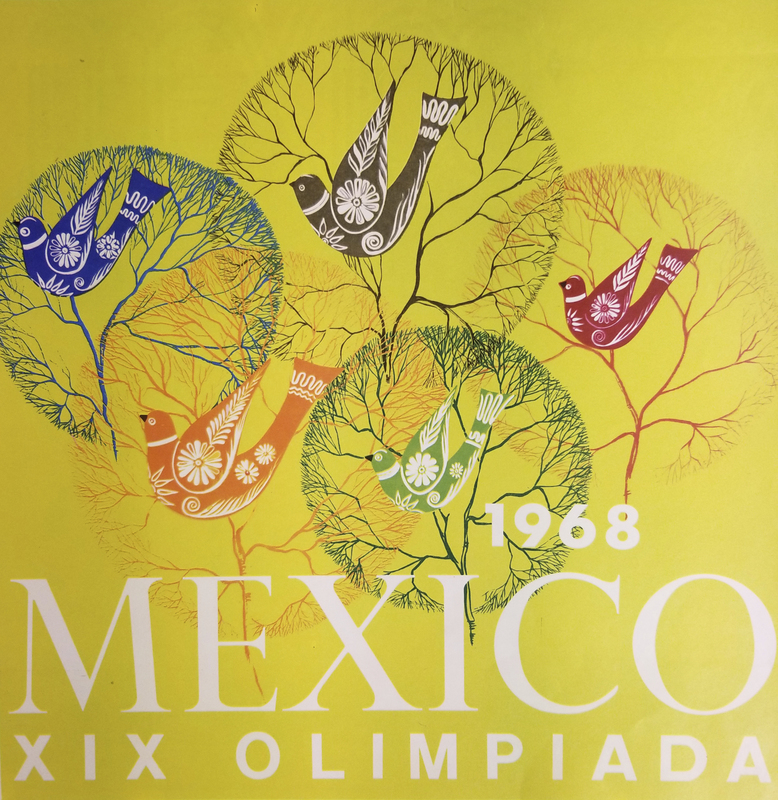 Offset lithograph 12 x 12 inches Comité Organizador de la XIX Olimpida Impresa en Mexico Por Miguel Galas, S.A.
Mexico 68 XIX Olimpiada Sports Poster, Pommeled Horse. 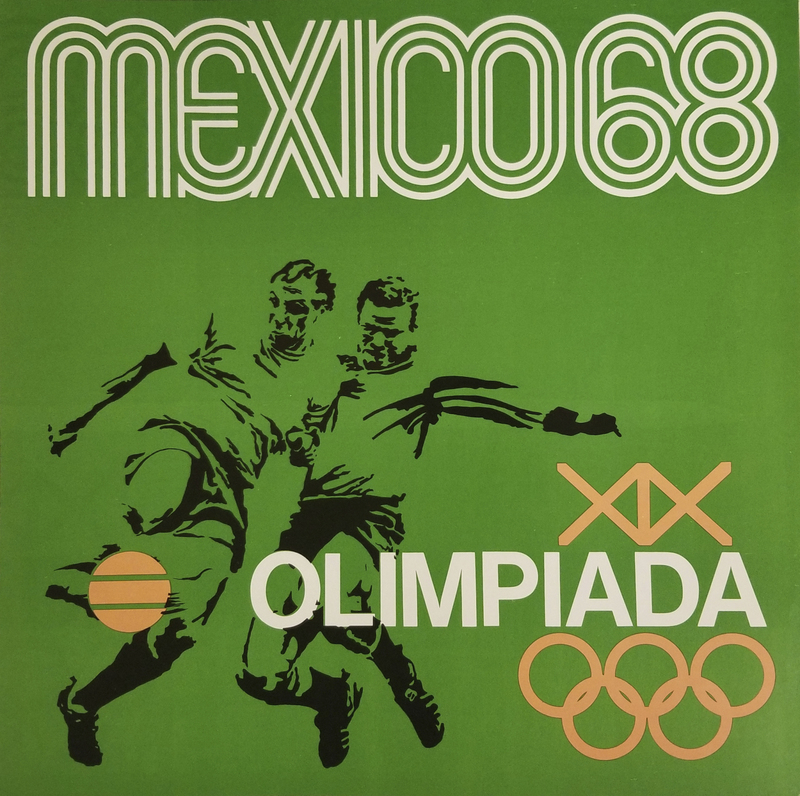 Offset lithograph 12 x 12 inches Comité Organizador de la XIX Olimpida Impresa en Mexico Por Miguel Galas, S.A.
Mexico 68 XIX Olimpiada Sports Poster, Soccer. 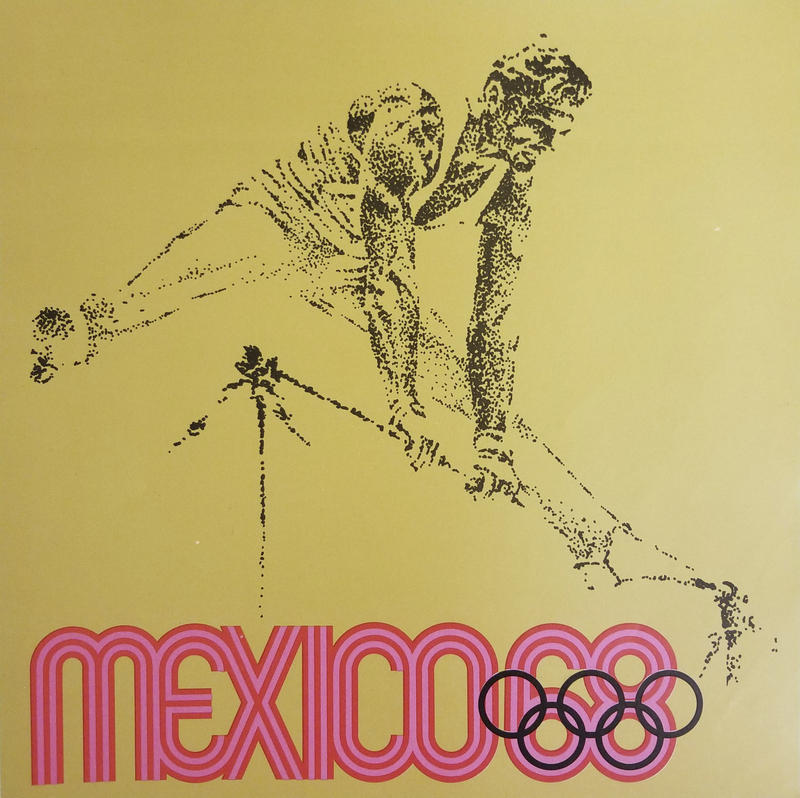 Offset lithograph 12 x 12 inches Comité Organizador de la XIX Olimpida Impresa de Industria Y Comercio, S.A.
Mexico 68 XIX Olimpiada Sports Poster, Horizontal Bar. 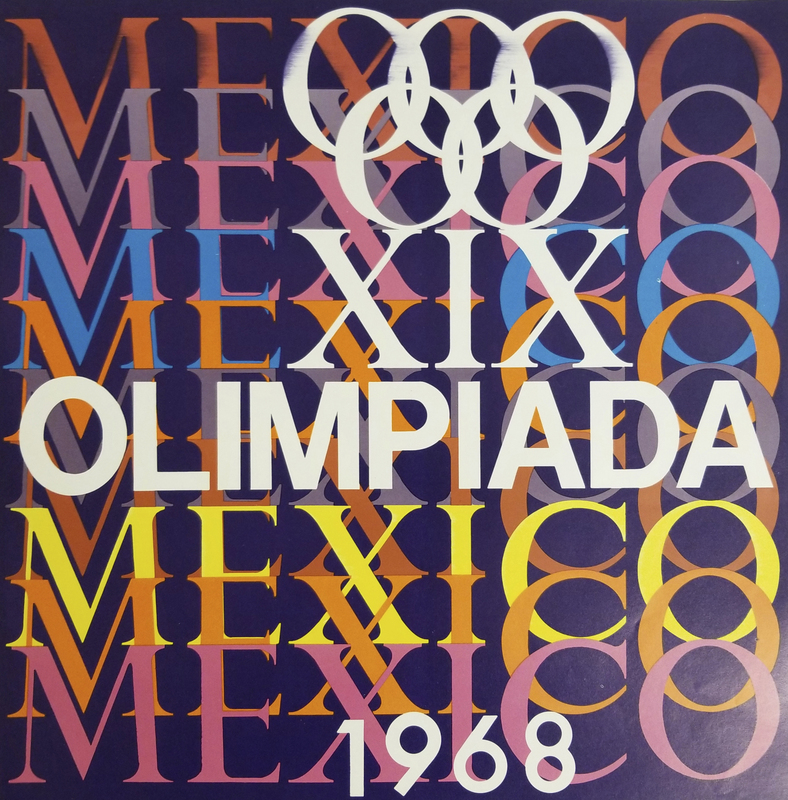 Offset lithograph 12 x 12 inches Comité Organizador de la XIX Olimpida Impresa en Mexico Por Miguel Galas, S.A.
Mexico 68 XIX Olimpiada Sports Poster, Rings. 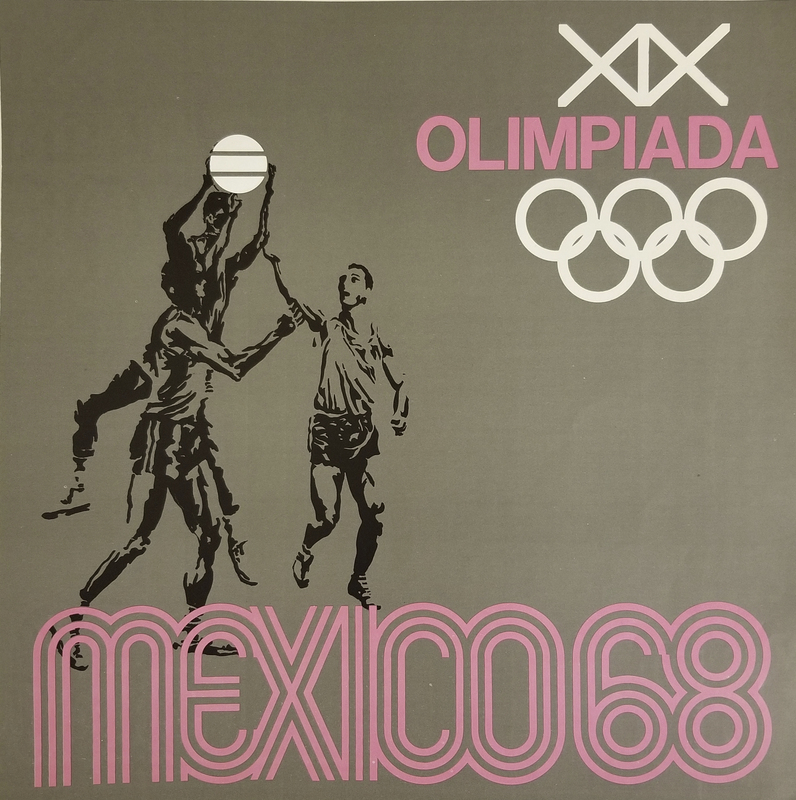 Offset lithograph 12 x 12 inches Comité Organizador de la XIX Olimpida Impresa en Mexico Por Miguel Galas, S.A.
Mexico 68 XIX Olimpiada Sports Poster, Basketball. 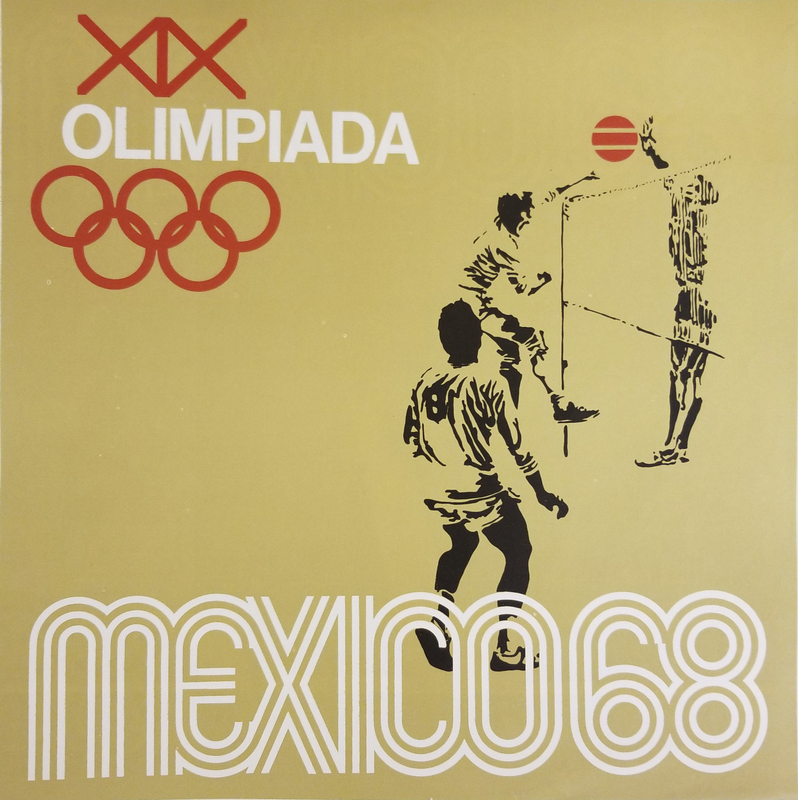 Offset lithograph 12 x 12 inches Comité Organizador de la XIX Olimpida Impresa de Industria Y Comercio, S.A.
Mexico 68 XIX Olimpiada Sports Poster, Volleyball. 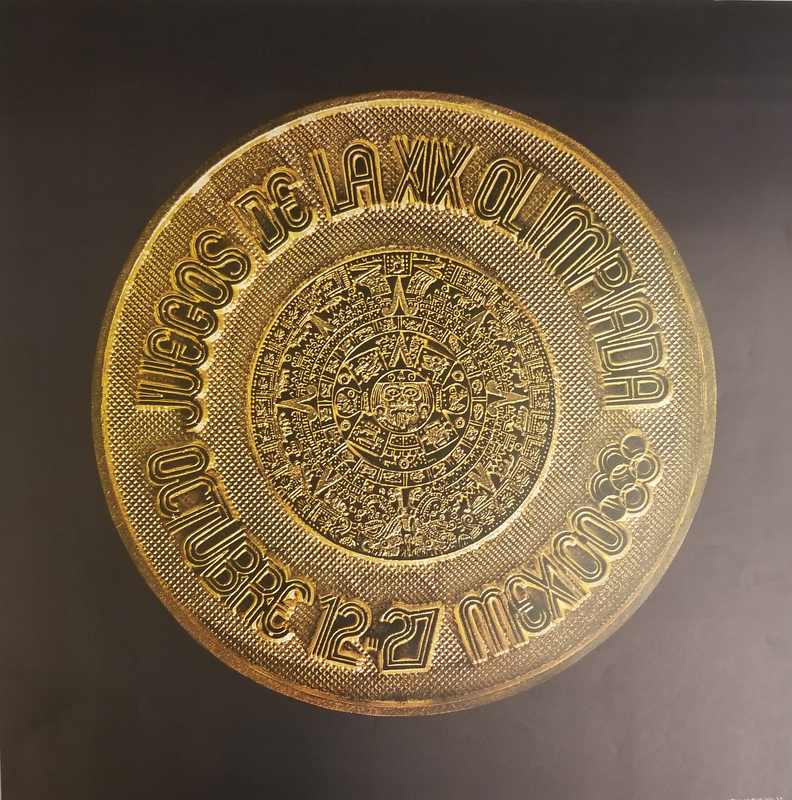 Offset lithograph 12 x 12 inches Comité Organizador de la XIX Olimpida Impresa de Industria Y Comercio, S.A.
Mexico 68, Aztec Stadium Advertising Poster. 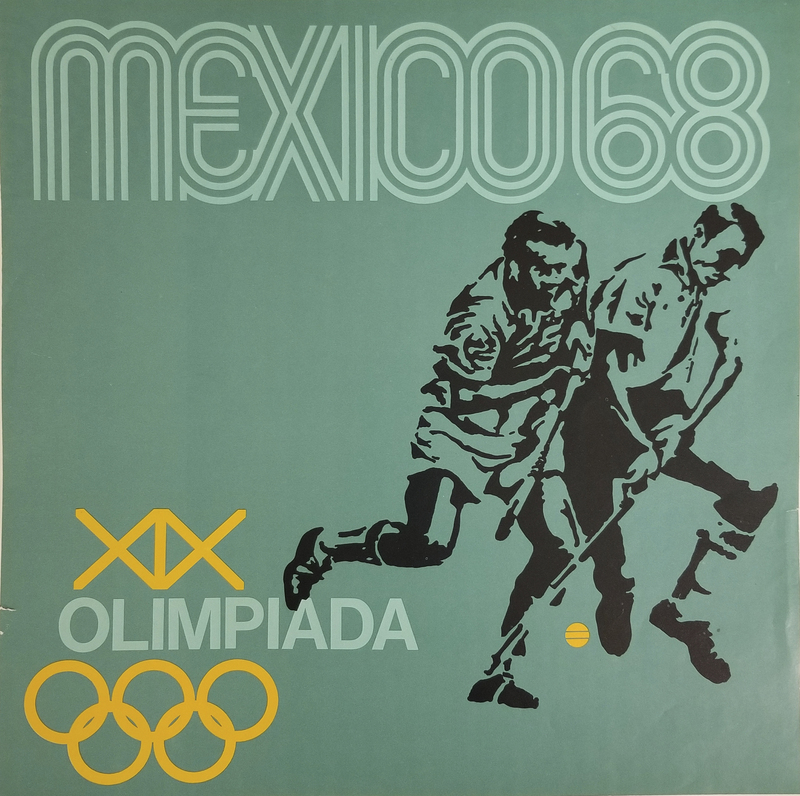 Offset lithograph 24 x 24 inches Comité Organizador de la XIX Olimpida Impresa en Mexico Por Impresos Automaticos de Mexico, S.A.
Mexico 68, Juegos de la XIX Olimpiada Advertising Poster. 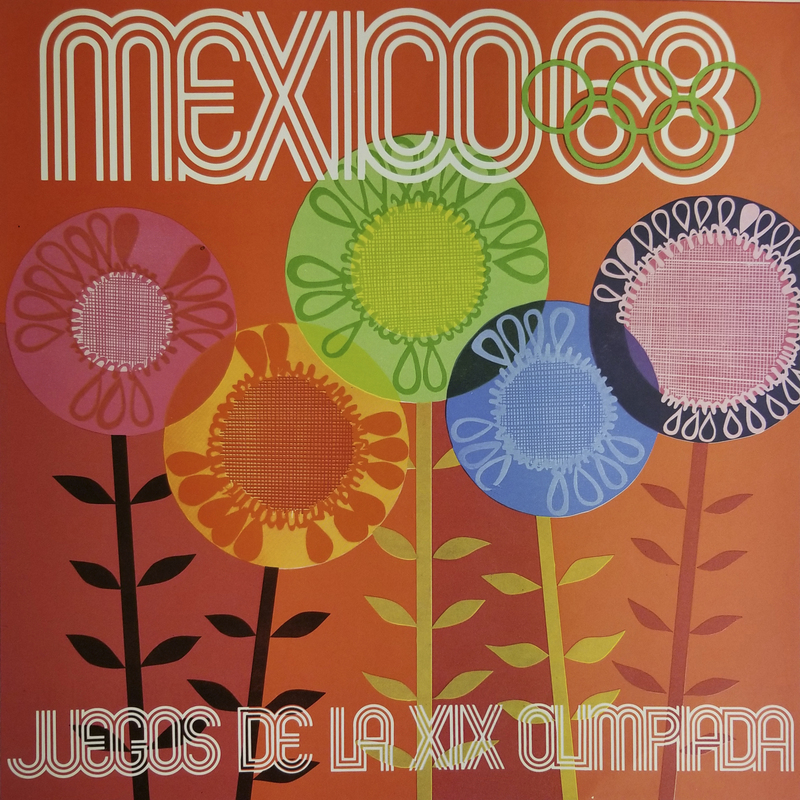 Offset Lithograph 12 x 12 inches Comité Organizador de la XIX Olimpida Departmento de Diseño Impresa en Mexico Por Impresos Automaticos de Mexico, S.A.
Mexico 68 Advertising Poster. 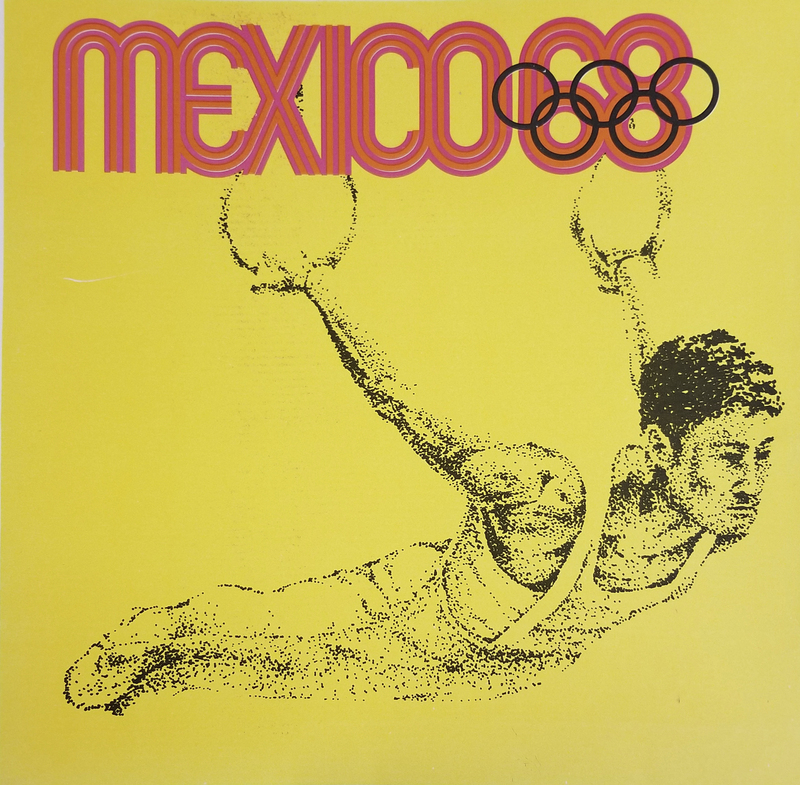 Offset Lithograph 12 x 12 inches Comité Organizador de la XIX Olimpida Departmento de Diseño Impresa en Mexico Por Lito Offset Impremex, S.A.
Mexico 68 Programa Cultural de la XIX Olimpiada. 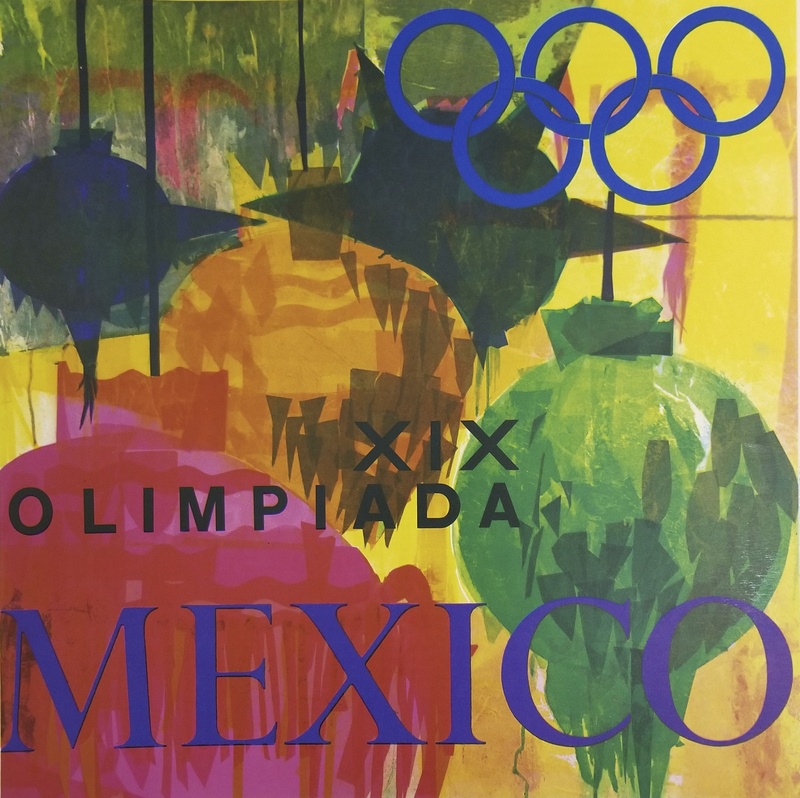 Offset lithograph 18 x 18 inches David Palladini, illustrator Comité Organizador de la XIX Olimpida Programa de Identidad Olimipca Departmento de Publicaciones Impresa en Mexico Por Miguel Galas, S.A.
Mexico XIX Olimpiada Advertising Poster. 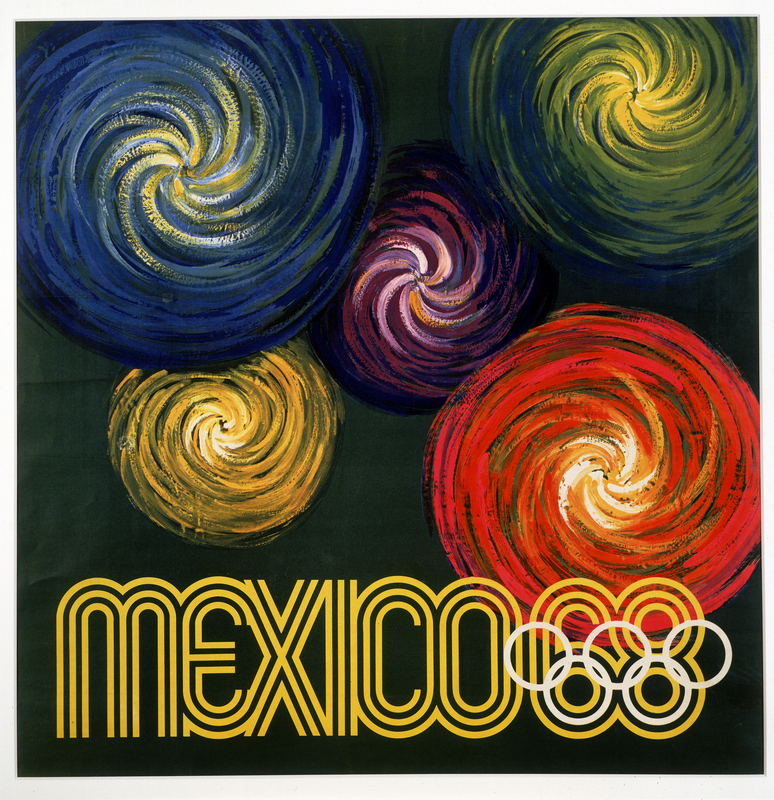 Offset Lithograph 37 ½ x 37 ½ inches Comité Organizador de la XIX Olimpida Departmento de Diseño Impresa en Mexico Por Impresos Automaticos de Mexico, S.A.
Fifty years ago, the world was re-introduced to Mexico through their hosting of the Games of the XIX Olympiad. 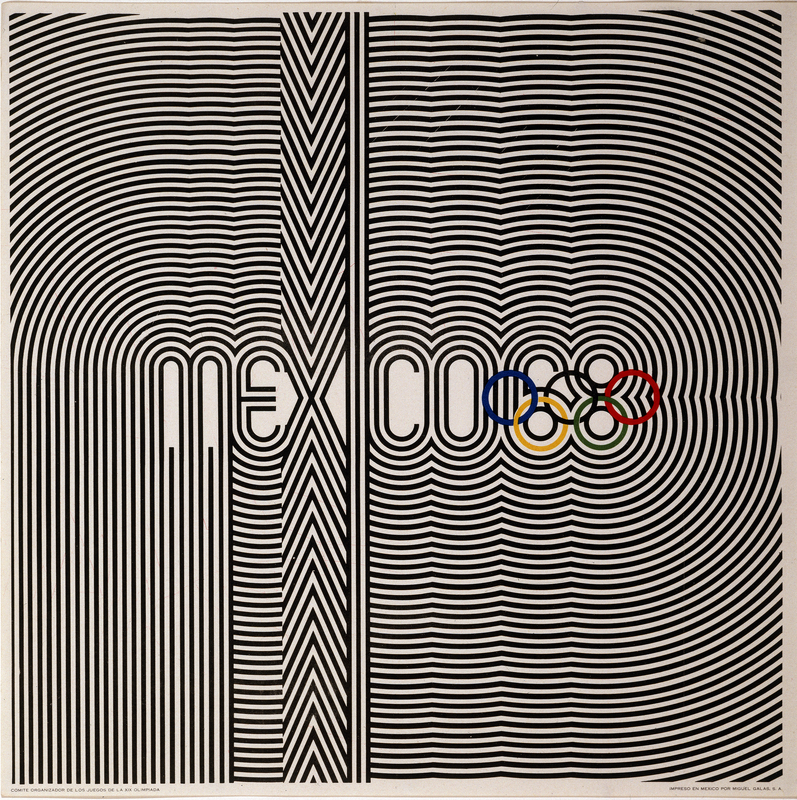 Determined to establish Mexico’s identity on its own terms, the Organizing Committee for the Games of the XIX Olympiad, led by Pedro Ramírez Vazquez, created the Department of Publications and Urban Design to integrate various aspects of design and communication related to the XIX Olympiad with the vibrant colors and culture of Mexico. 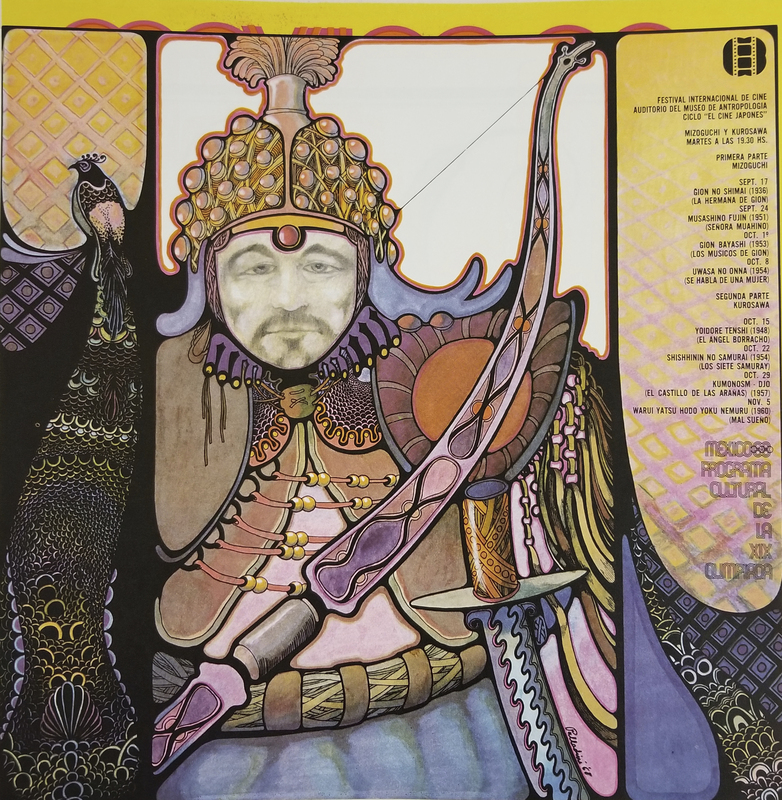 The posters displayed represent several aspects of the design and visual identity of those games. 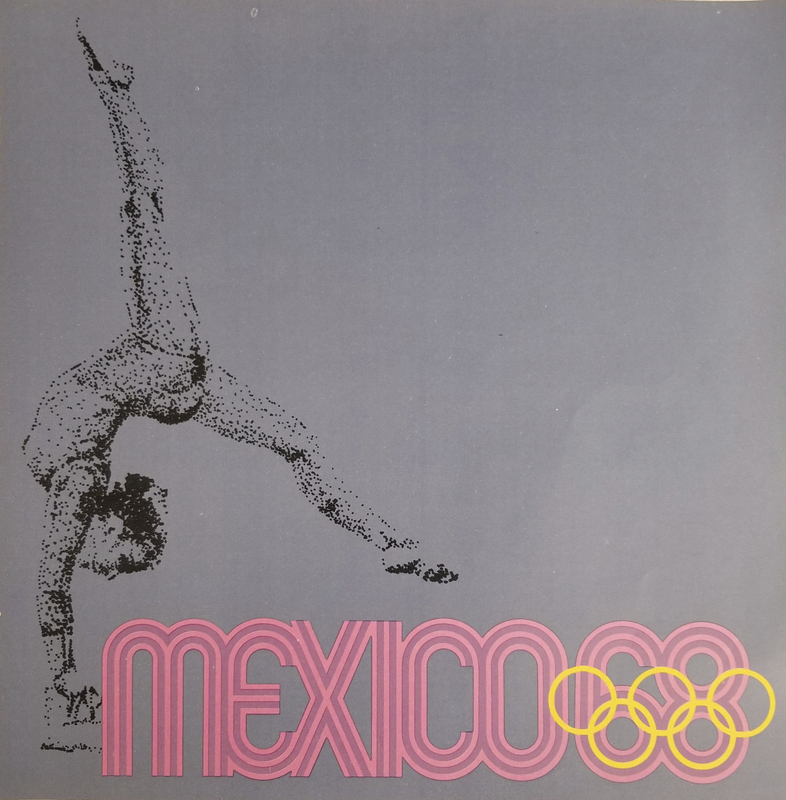 There were three elements to the logo – Olympiad, 1968, Mexico. 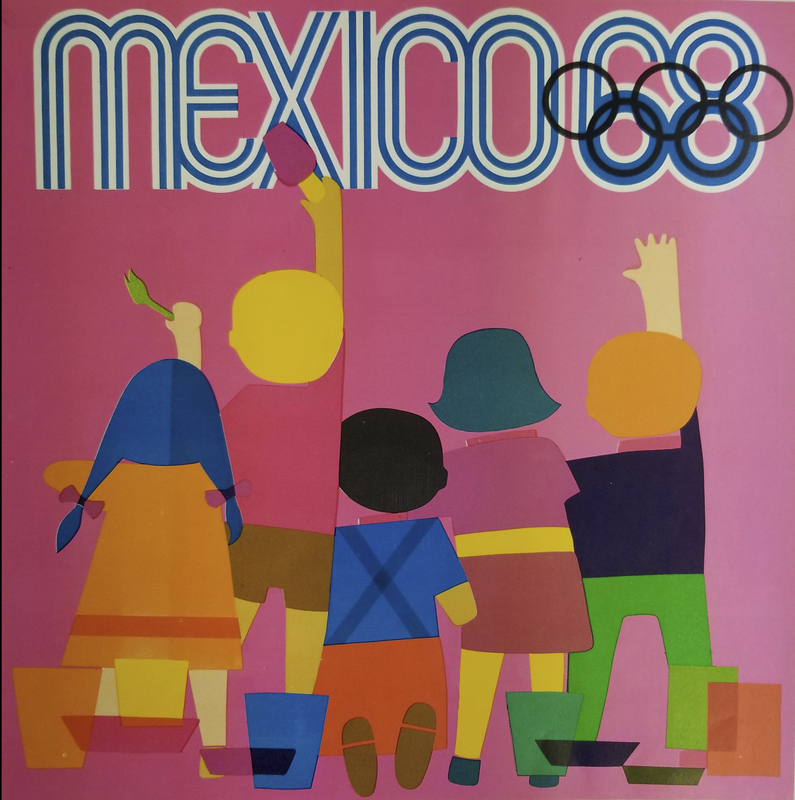 Lance Wyman, graphic designer, and Eduardo Terrazas, architect & painter, brought those elements together based on the Olympic rings; 1968; and geometric shape reminiscent of the Huichols, indigenous people of Mexico. 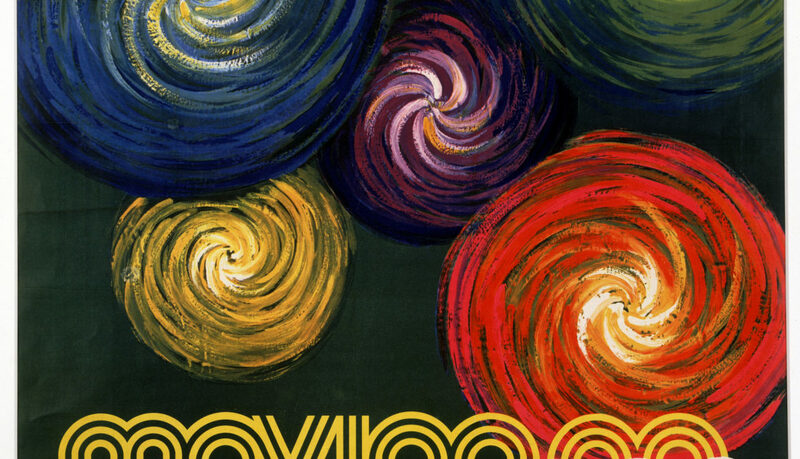 It was an optical motif, which intertwined seamlessly with the Op Art design of the 1960s. The Olympic Games has not seen such a powerful emblem since 1968. The logo is now an icon. 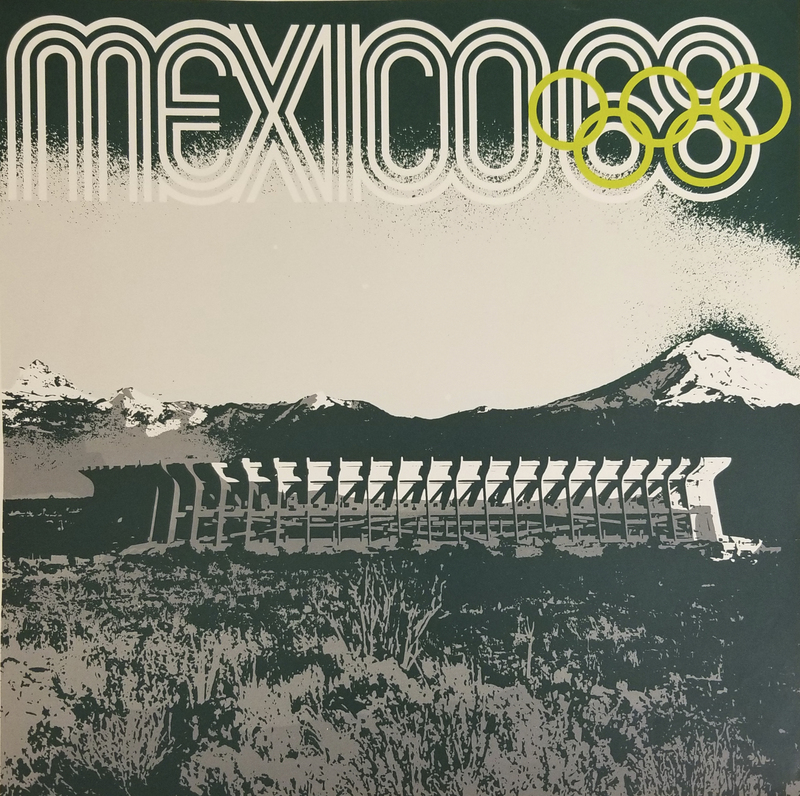 While the core identity of the 1968 Olympic Games was the Mexico 68 logo, the design team continued to introduce elements that reinforced the Olympic spirit and the history and hospitality of the host city. 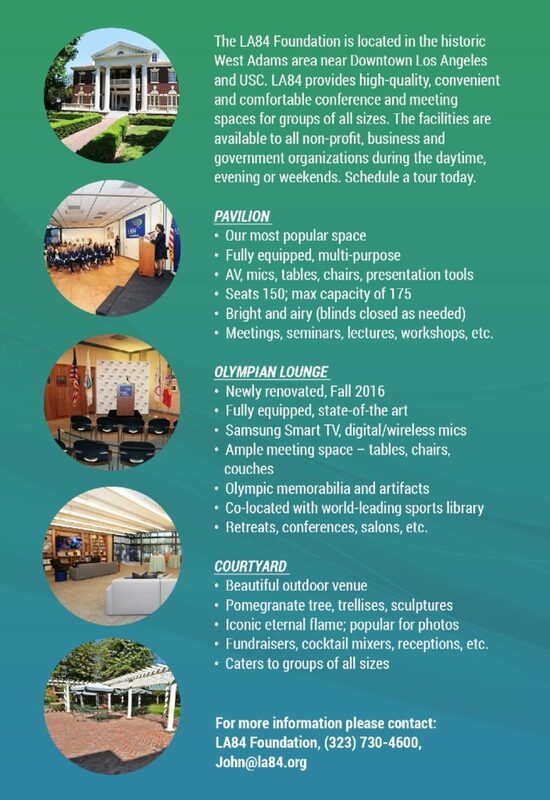 Posters, signage and the integration of the concentric patterns of the Olympic design elements at event venues, plazas and access areas brought the Organizing Committee’s goal to fruition. There was uniform visual identity to welcome the world and communicate to a multilingual audience. 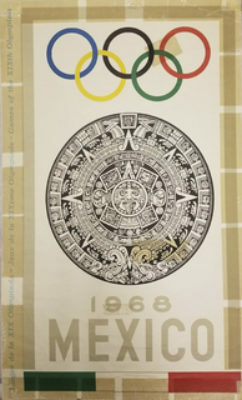 In addition, displayed are posters portraying sports included in those Games and pieces representing the Cultural Olympiad, The Cultural Olympiad was a year-long program that joined art and sport and fostered goodwill and respect amount the participating countries. 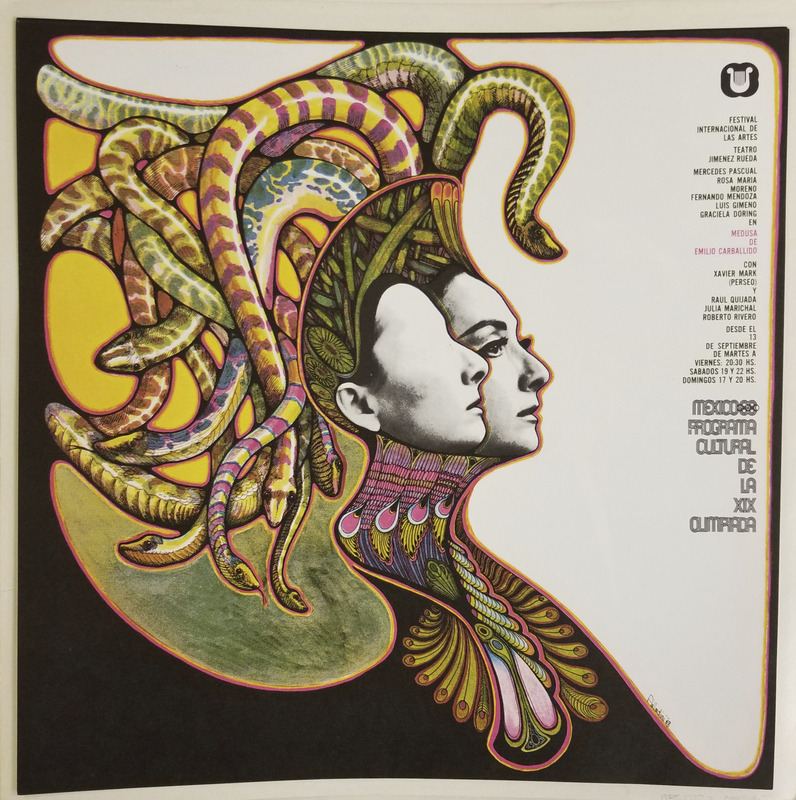 Many of these posters were created by David Palladini, illustrator, reflective of Op Art while mindful of Mexico’s cultural history. 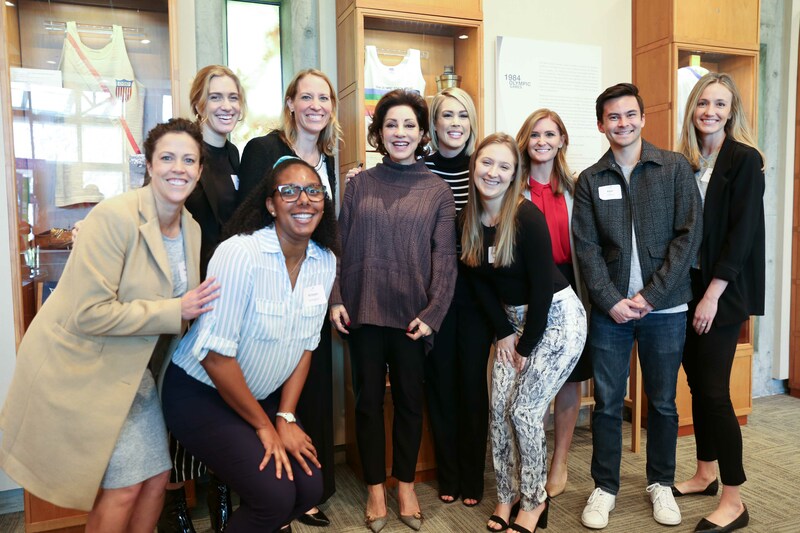 Editor’s Note: An LA84 grant to the USC Annenberg Institute of Sports, Media and Society funded three reporters to attend, report and write stories from the 2018 PyeongChang Winter Olympic Games in South Korea. GANGNEUNG, SOUTH KOREA – Many areas claim to be the epicenter of American hockey. There’s Boston, home to the Beanpot Classic and a massive bread-bowl full of elite college programs. Minnesota is the home of Herb Brooks, the man behind the “Miracle on Ice.” Detroit calls itself Hockeytown. When it comes to the hockey hopefuls from Southern California, their roads to professional glory contain more obstacles than a late-night jaunt down CA-1. Players like Cayla Barnes and Jonathan Blum, both Californians representing the United States men’s and women’s teams in the 2018 Winter Olympics, sacrificed themselves for higher purposes. The 5-foot-1 Barnes, who led the defense on the first women’s gold medal team since 1998, pushed doubts and distractions to the side on the way to South Korea. The diminutive Eastvale, Calif. native, had a choice between a biology major at Boston College and Olympic gold. She decided to take a year off to focus on her national teammates. As a parent himself, Jon Blum travels as far as Russia to provide for his wife Emilie and son Jackson. The former first-round NHL draft pick – and first first-rounder born and raised in California – plays defense for HC Sochi off the coast of the Black Sea. “No doubt it’s tough,” said Blum of his time away from family. “Being so far away, and having a 14-month old son. Sometimes, you just have to provide.” “It’s like a military deployment,” said Emilie. She would know. She’s a former intelligence analyst for the U.S. Army. For a while, his determination didn’t seem to matter. He went from his early heights playing for the Nashville Predators and Minnesota Wild of the NHL to lesser known Russian teams such as Admiral Vladivostok. Some say fortune favors the prepared mind. Despite his tumble to the frozen tundra of Russia, fortune finally called. The NHL declined to send any of its contracted players to South Korea, so Team USA scrambled to find capable skaters across the globe. Enter Blum. “You certainly can’t complain about representing your country,” he said. It’s fitting that the Blum family both got to serve their country. Jon wore red, white and blue, while Emilie wore fatigues. Despite the distance, Jon doubts they would trade America for Russia. “Are we really going to get it better than SoCal?” he asked rather rhetorically. Many see Los Angeles and Southern California as a life destination – the proverbial California dream. 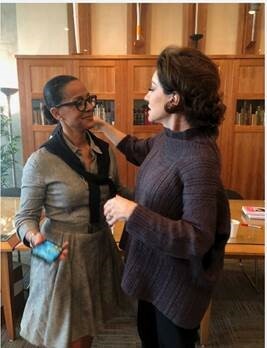 Barnes and Blum are fighting for as many options as possible. 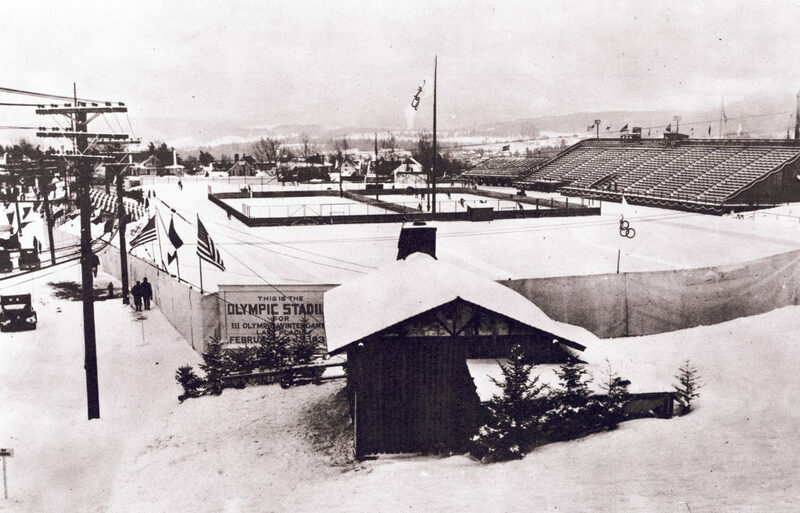 Do you wonder how things were like at North America’s first Winter Olympic Games? 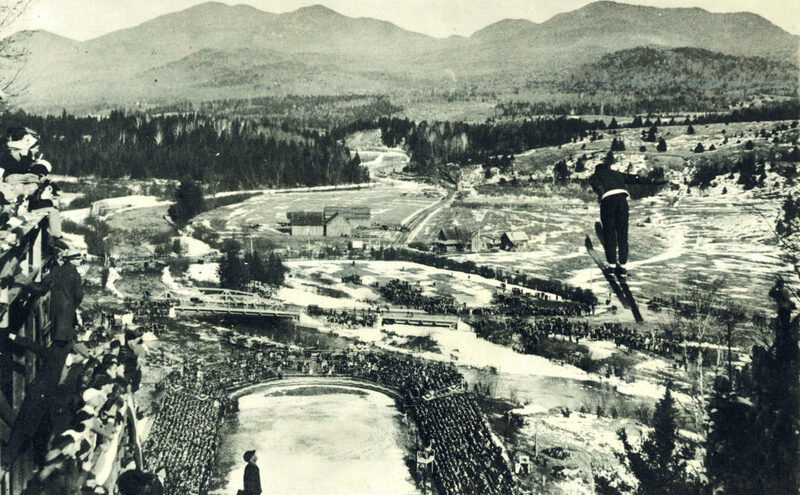 View a gallery of photos from the 1932 Olympic Winter Games in Lake Placid, New York. All photos are taken from the LA84 Foundation archives. Norway’s Johan Gröttumsbraaten was the winner of the combined ski event, an 18-km cross country race followed by the ski jump. The gold-medal United States four-man bobsled team. Billy Fiske, the driver, died in 1940 from combat injuries sustained while flying for the RAF during the Battle of Britain. 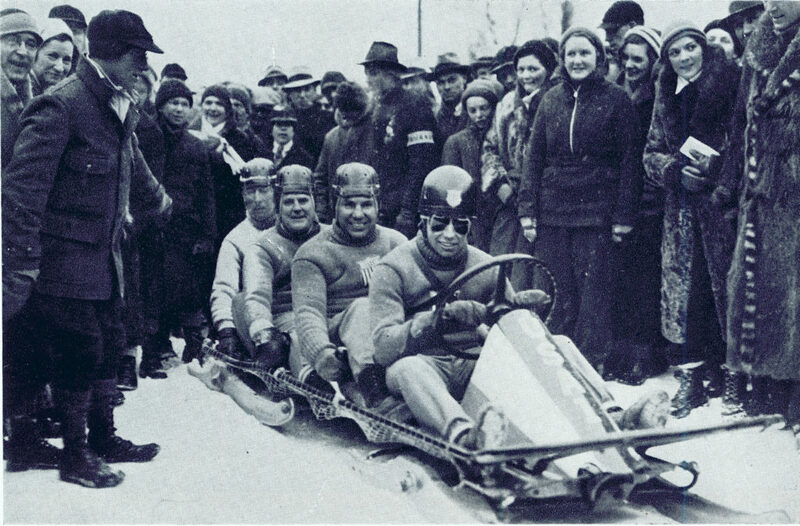 Eddie Eagan, in the second seat, is the only person to have won a gold medal in both the winter and summer Olympic Games. Eagan won the light-heavyweight boxing gold in 1920. 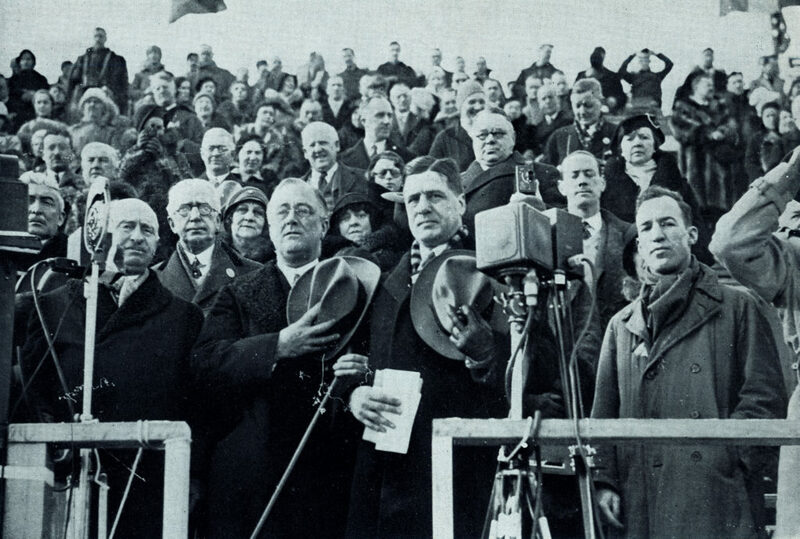 IOC President Count de Baillet-Latour and New York Governor Franklin Delano Roosevelt were among the dignitaries at the opening of the 1932 Olympic Winter Games. Roosevelt was elected President of the United States nine months later. The Olympic Stadium, built at a cost of $155,879.77, was the site of speed skating, Opening and Closing Ceremonies, some hockey games, and the start and finish of the 18-km cross country ski race and sled dog competitions. 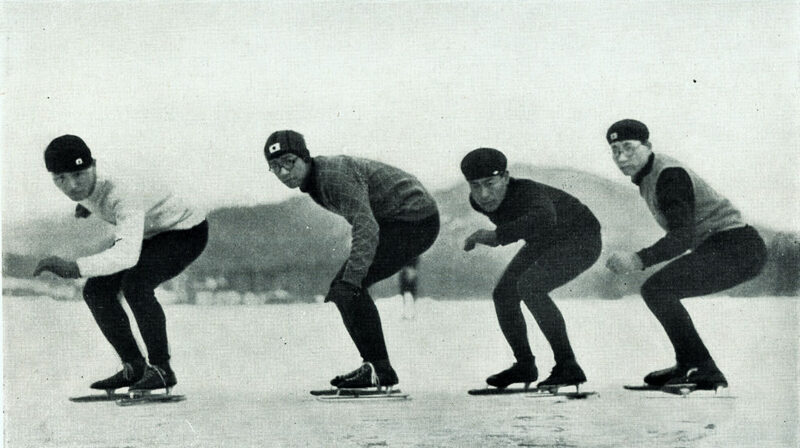 Japanese speed skaters. Japan was the only Asian nation to send athletes to the 1932 Olympic Winter Games. Straightaway on the Mt. 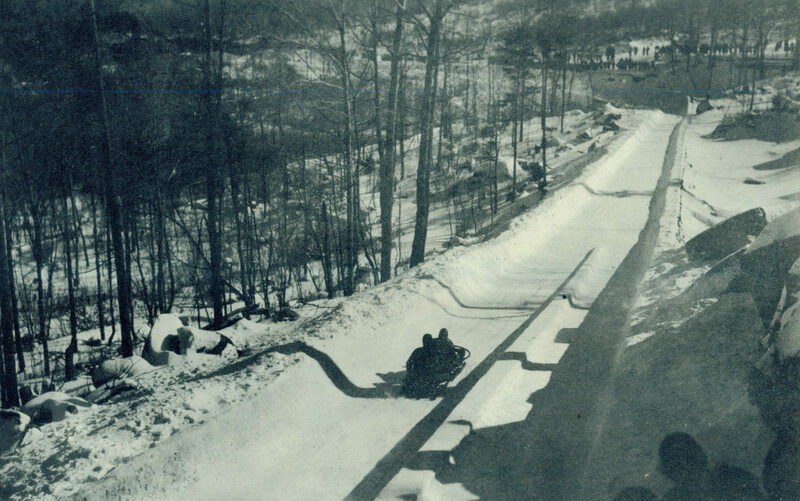 Van Hoevenberg bobsled run. Built by 100 men in three months, the run cost $215,000. Sonja Henie of Norway won the women’s figure skating. 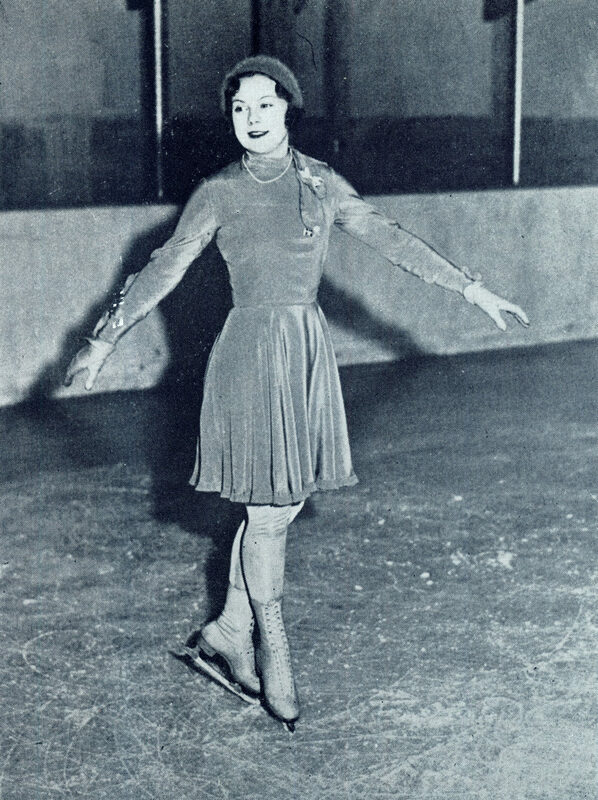 Henie won three Olympic championships (1928, 1932, 1936) before starring in several Hollywood movies and producing her own ice skating shows. 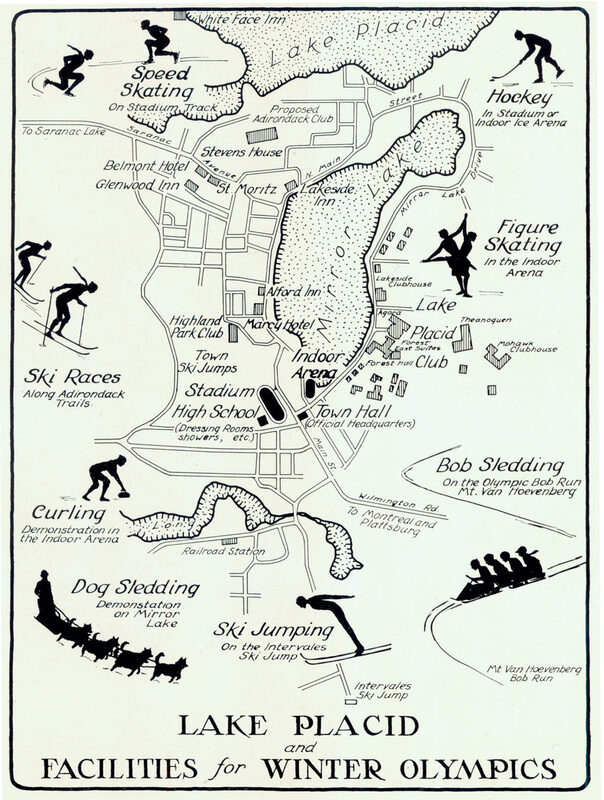 Sled dog racing was a demonstration sport in 1932. 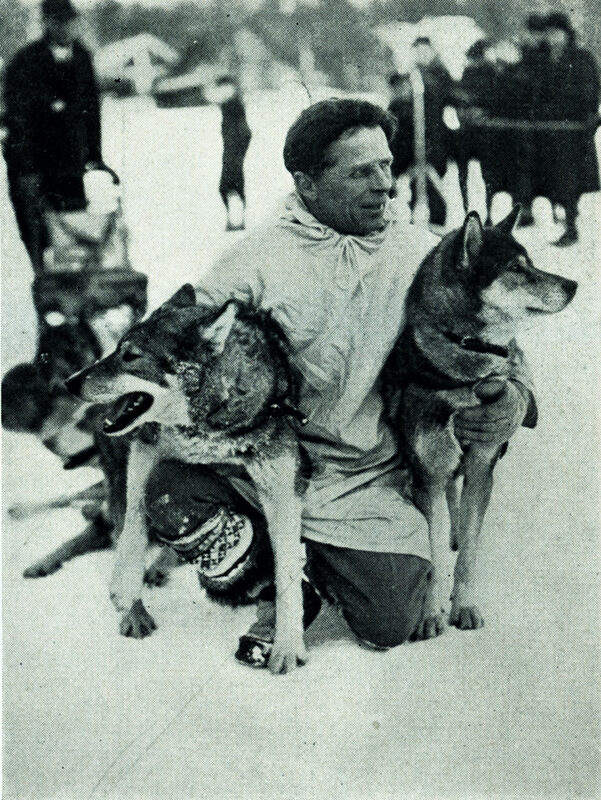 Alaska’s Leonard Seppala and his dogs finished second. The field of 13 drivers included one woman, Eva Seeley of Wonalancet, NH. 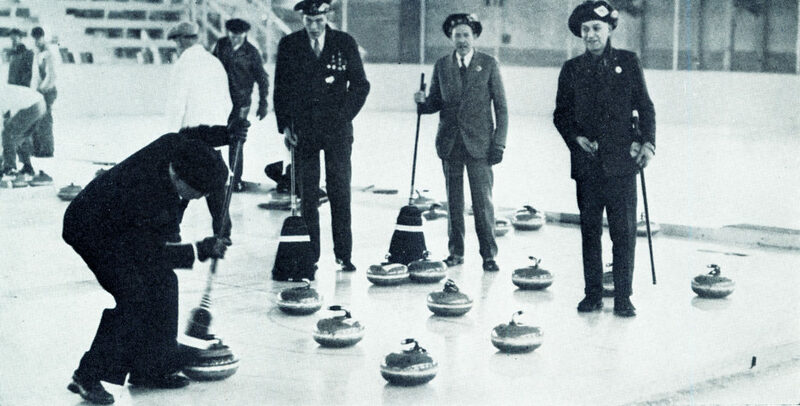 Michigan versus Quebec in the demonstration sport of curling. 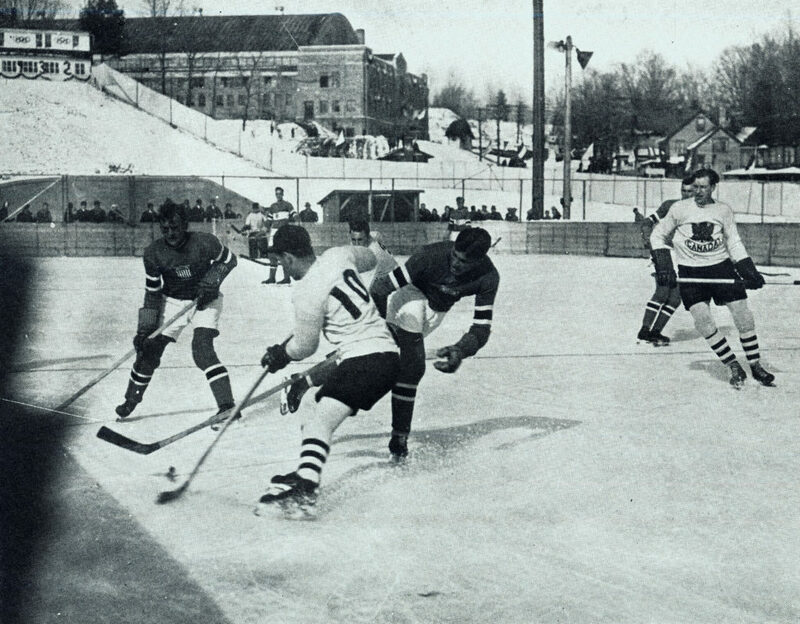 Eight teams representing U.S. states and Canadian provinces competed, with Manitoba winning the tournament. Canada defeats the United States, 2-1, in the opening game of the ice hockey tournament. Canada went on the win the gold medal; the US took silver. 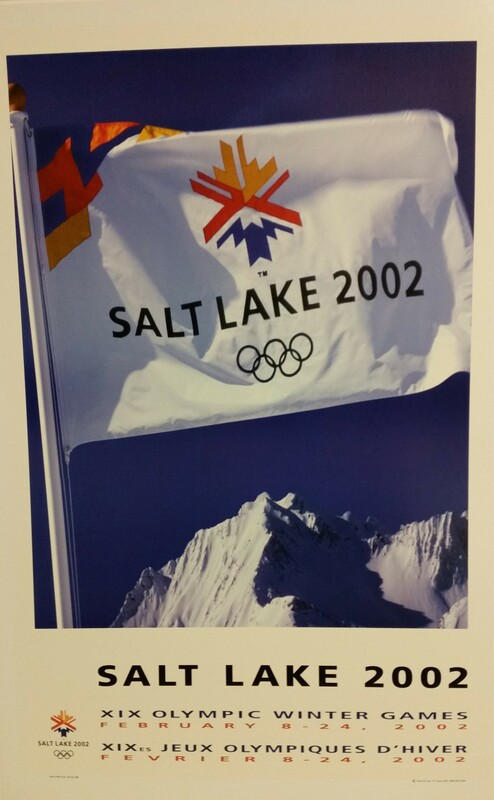 Until 1998, only men played ice hockey in the Olympic Winter Games. 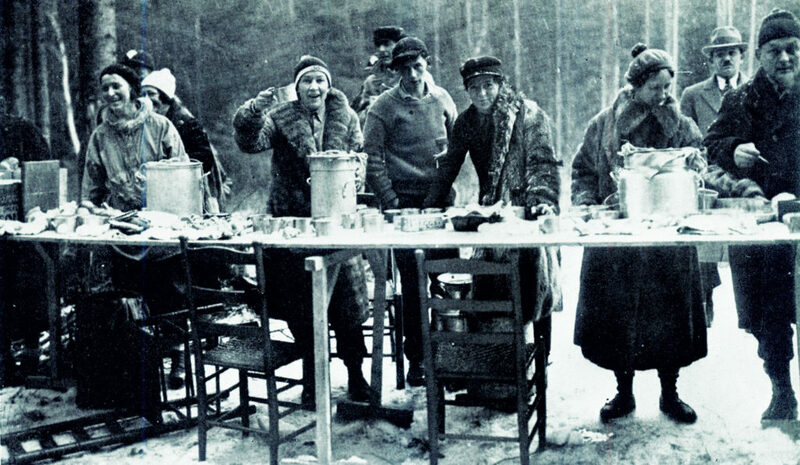 Feeding station at halfway point of the 50-km cross country race, won by Finland’s Veli Saarinen in 4 hours, 28 minutes. 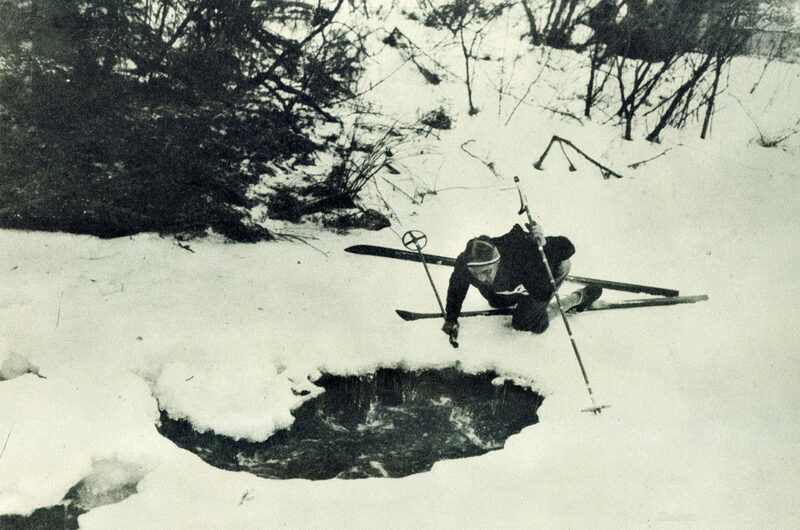 American skier Norton Billings drinks from a stream during the 50-km cross country race. 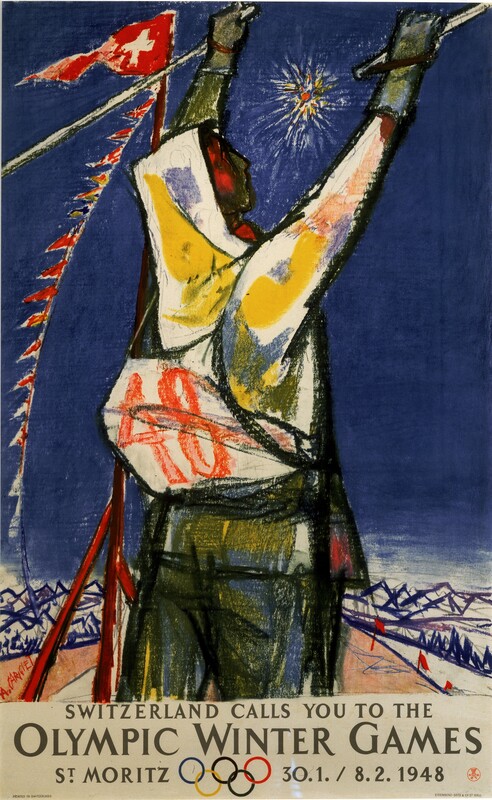 Alpine skiing was not an Olympic sport in 1932. 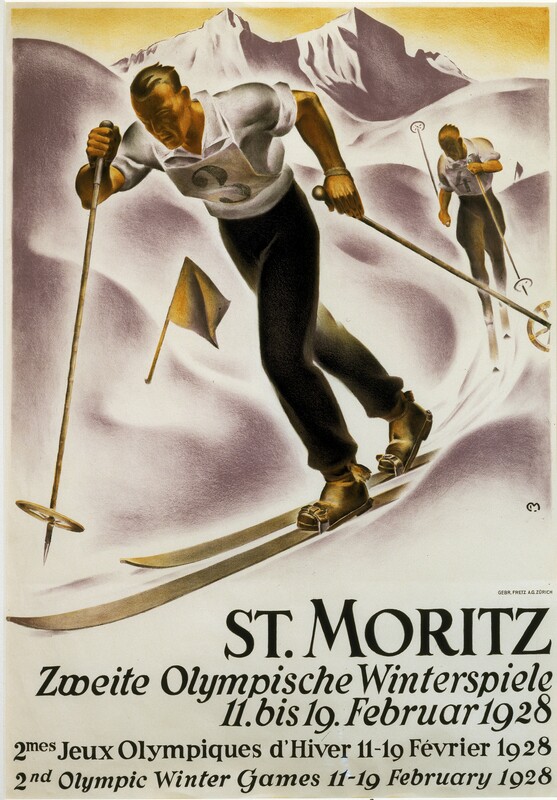 It joined the Olympic program in 1948 in St. Moritz. 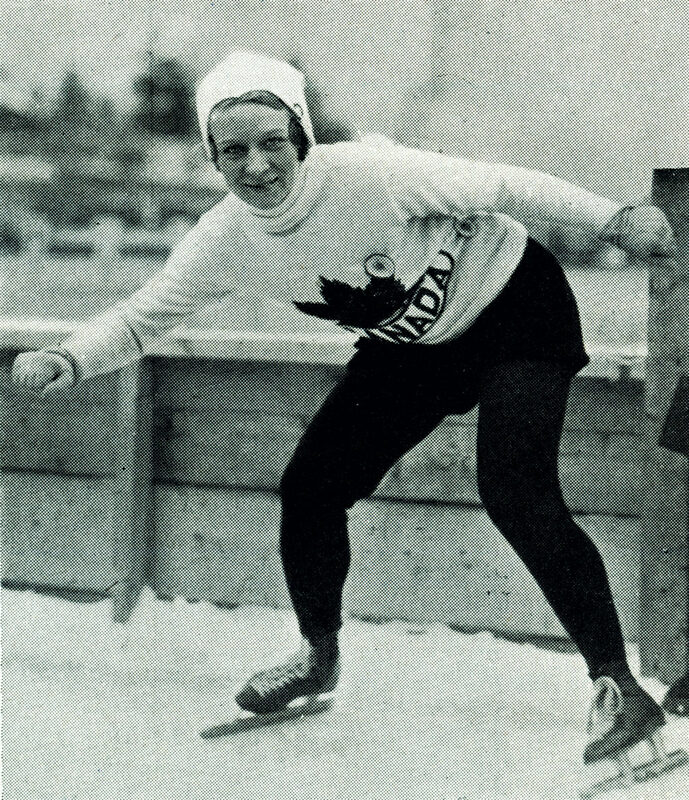 Women’s speed skating was a demonstration event in 1932. Canadian Jean Wilson won the 500 meters. Americans Elizabeth Dubois and Kit Klein won the 1000-meter and 1500-meter races. 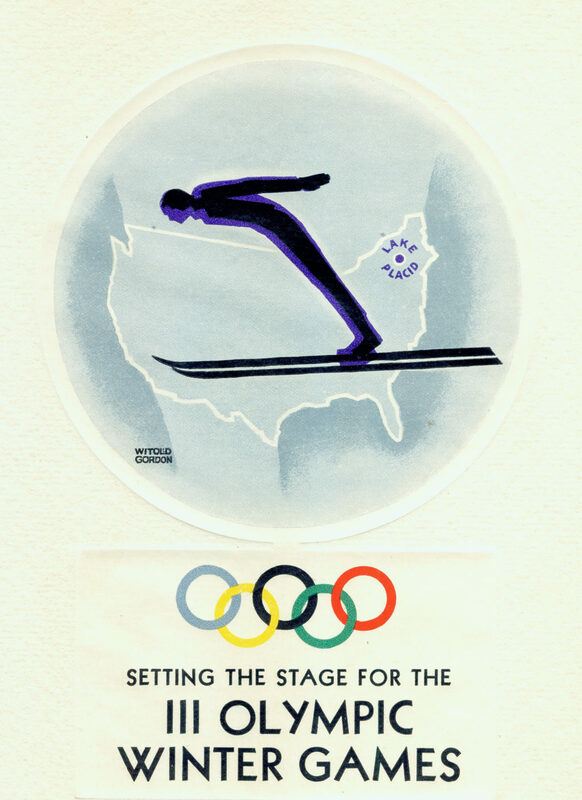 Cover of booklet published by the III Olympic Winter Games Committee outlining plans, facilities and budget for the 1932 Winter Games. 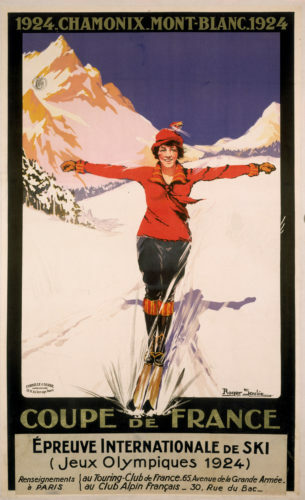 In 1932, Lake Placid was a 12-hour train or automobile ride from New York City. Today it is a 5-hour drive. PYEONGCHANG, South Korea — The competition at the 2018 Winter Olympics is serious, but Maame Biney’s contagious laugh can still be heard as she leaves the ice. The happy-go-lucky 18-year-old is only a senior in high school, and she is already an accomplished short track speed skater. She’s also breaking barriers for future generations. Biney is the first African-American woman to compete in short track speed skating for Team USA. Her advice stems from her own start in the sport. Biney was born in Ghana, a fairly snowless region. 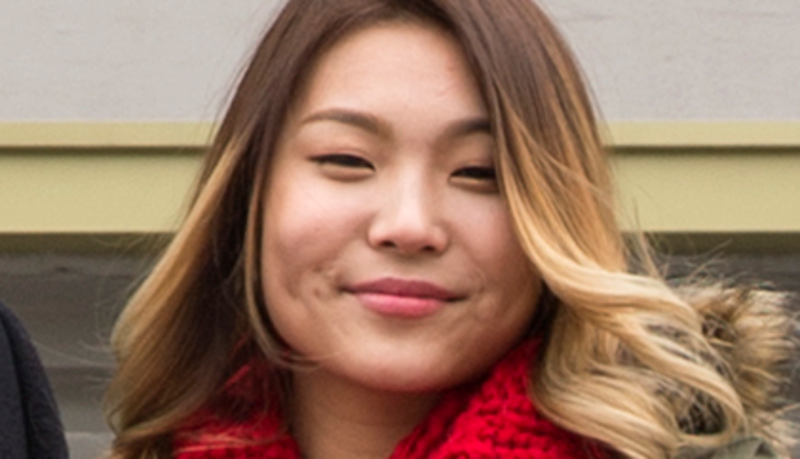 Growing up in warm, tropical air, Biney wasn’t introduced to snow until she moved to Reston, Virginia at age five. Her move to the United States with her father brought many changes, she said, one of those being her love for the ice. “We were driving down a street and saw a sign that said learn to skate,” Biney’s father, Kweku told CNN in an interview in February. “I said do you want to try this? And she said yes.” The moment she walked into the rink, her successful career in speed skating began. 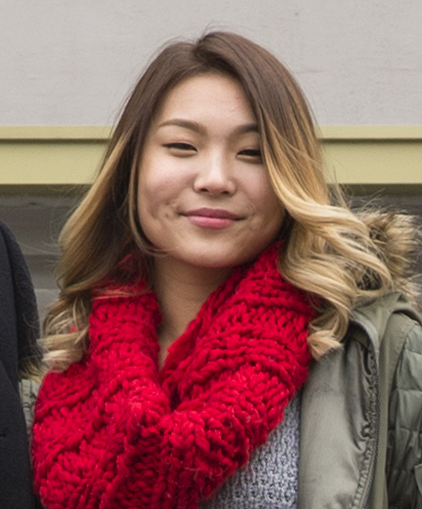 Biney continued to race around the track throughout her young life, and won a bronze medal at the 2017 World Junior Short Track Speed Skating Championships. Managing classes and an elite athletic career places a lot of pressure on her, but Biney said she uses positive energy to remain calm. Many of her camera interviews display her smile and laugh. “Laugh until you almost die of laughter…catch your breath…then keep laughing!” Biney’s Twitter profile states. The skater’s mantra is something her teammates and coaches have enjoyed greatly. “She always comes in light-hearted and ready to train. If she’s having a bad day you can’t really tell, she’s always smiling and she actually uplifts the entire team,” Biney’s coach Anthony Barthell said. Biney attributes her positive energy to her father. She said it was his selfless actions that allowed her to be a skater, and he has always been her biggest fan. “My dad put his life on hold to let me start my life,” she said. Biney eventually moved to Salt Lake City to train with the U.S. National Team, and her father still showed up to support his daughter. When she qualified for the Olympic team, it was an emotional day. In PyeongChang, Biney took part in the Ladies’ 500-meter event and advanced to the quarterfinal, but her Olympic dream ended there. She was unable to advance to the next round. [Editor’s note: Biney later competed in the 1,500-meter event, but was eliminated in her qualifying heat.] But, she said she counts her Olympic moment as a valuable experience in life, and is already looking to prepare for Beijing in 2022. Plus, her performance had a larger impact beyond her finish. Akwasi Frimpong watched as the Ghana flag slowly rose overhead. The city of PyeongChang, South Korea welcomed him to his first Olympic Games. But not only was it a first for the 32-year-old, it was the first time the Winter Olympics welcomed a skeleton athlete from Ghana. 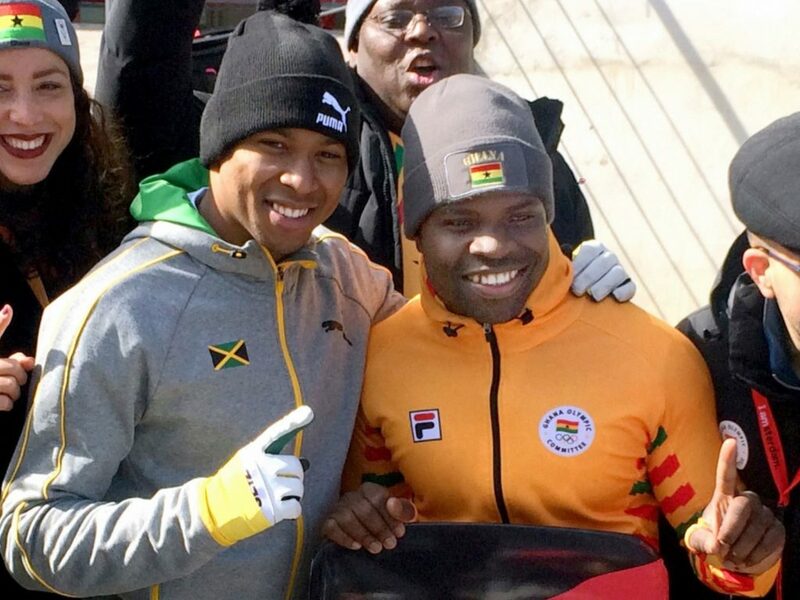 Following Kwame Nkrumah-Acheampong, an alpine skier who competed at the 2010 Vancouver Olympics, Frimpong is only the second Ghanaian to compete in a winter event. Ever. For the skeleton athlete, the path to the Olympics wasn’t easy. Frimpong grew up in Kumasi, Ghana in a one-room home where his grandmother raised him. 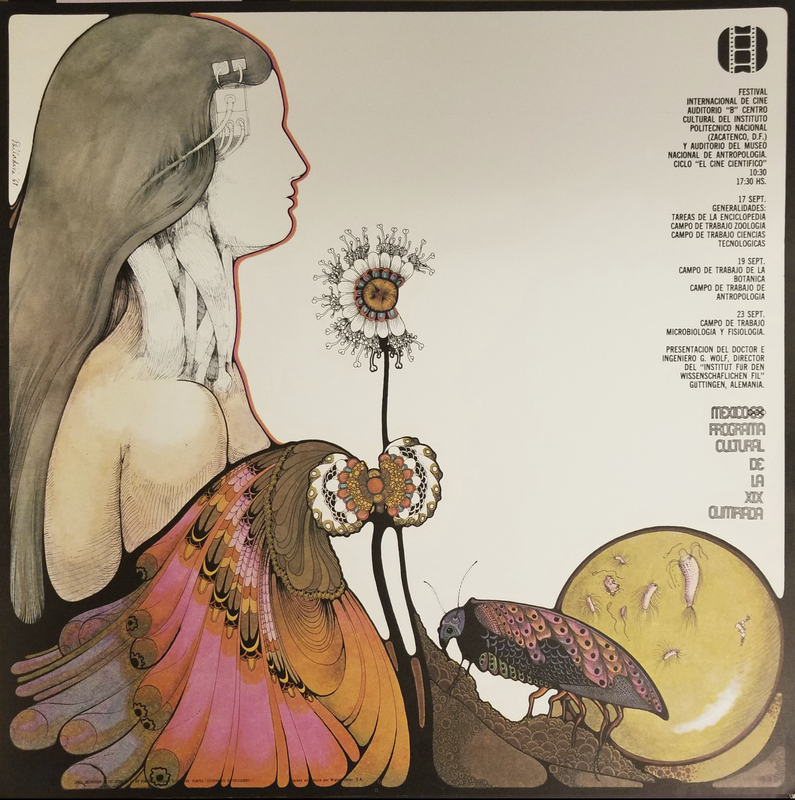 Many nights, he said, were spent sleeping on the ground. After moving to the Netherlands to be with his mother, he made a friend who won a medal for a track race. 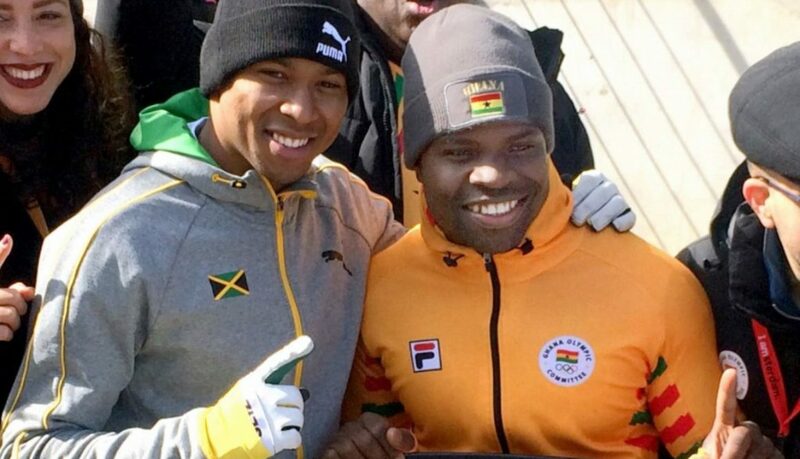 It was then that Frimpong decided to work hard at the sport so that he, too, may win a medal someday. Frimpong heard of track opportunities in the United States, and sent out applications. In 2008, he was offered an athletic scholarship to Utah Valley University. Frimpong raced there for four years, and helped break the school record in the 4 x 100-meter relay. After a serious Achilles injury, Frimpong’s track career was hindered. Fortunately, the Dutch bobsled Olympic team recognized his talent, and recruited him to compete with them in a sport he had never before considered. At that point, he said, he developed a passion for winter sports. “A lot of times people fall back because of different reasons, but here I am after 15 years working toward this goal,” Frimpong said. He trained tirelessly as a bobsled athlete, putting most his time and money into his Olympic goal. Despite his efforts, he fell short of qualifying for the 2014 Games in Sochi. That didn’t stop his dreams. His desires at the 2018 Winter Olympics are similar to those of his predecessor, Nkrumah-Acheampong, when he competed in 2010 at the Olympic level. Those who think women’s sports can’t draw an audience need to look no further than NBC’s ratings during Chloe Kim’s halfpipe gold medal showing. The 17-year-old from Long Beach, California, who made her Olympic debut in Pyeongchang, gave a master class in snowboarding in the final. She scored a 98.5 in a victory lap run and earned 8.5 points more than the second place finisher, Jiayu Liu, who highest score was an 89.75. It amounted to a global coming out party for the prodigy and Americans made sure not to miss it: while NBC’s primetime Olympic coverage drew just 22.3 million people on Monday — slightly down from Sochi — during the 15-minute period of Kim’s final runs viewership spiked to 26.9 million. Kim, who was born in Long Beach, began snowboarding at Mount High before training at Mammoth Mountain with the likes of Team USA veterans Kelly Clark and Shaun White in recent years. Leading up to her first Olympic Games, Kim leaned on the California veterans for support. Clark has long been known for being one of the most progressive women riders in the sport and has constantly pushed women’s snowboarding to new heights. With Kim’s decisive win in Pyeongchang that torch has been passed. It wasn’t just Kim who saw a lot of great stuff in the halfpipe, but viewers across America who tuned in to see that 17-year-old girl go “bigger and better.” Women’s sports, as it turns out, have a massive appeal. 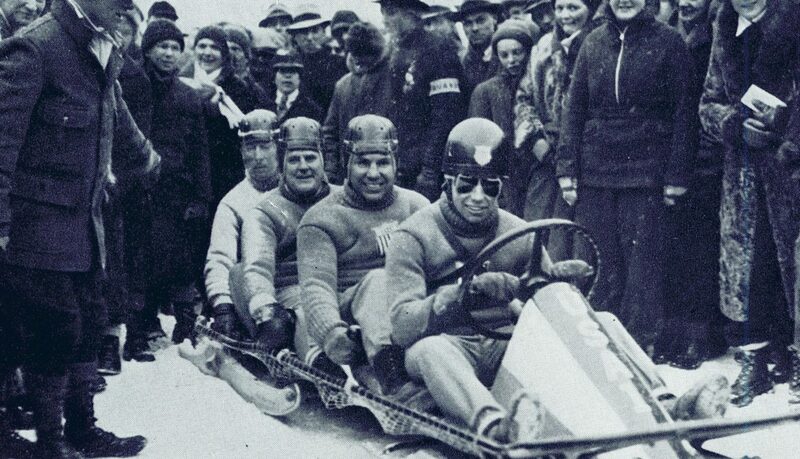 The first Olympic Winter Games were held in 1924 in Chamonix, France. The 23rd and most recent Olympic Winter Games take place in PyeongChang, South Korea. Among the many unifying threads that stitch across time: the vibrant posters that advertise, promote and celebrate the games. Snow Time! 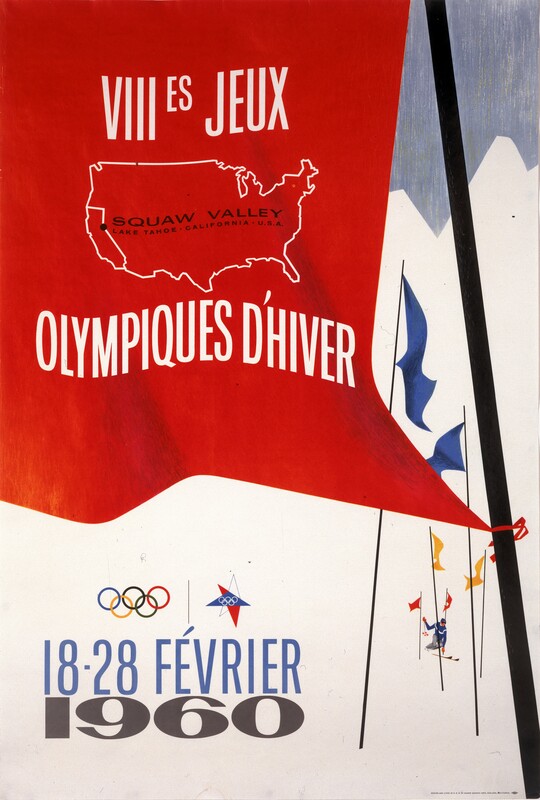 Olympic Winter Games Posters is a sampling of Olympic Winter Games posters from the collection of the LA84 Foundation. 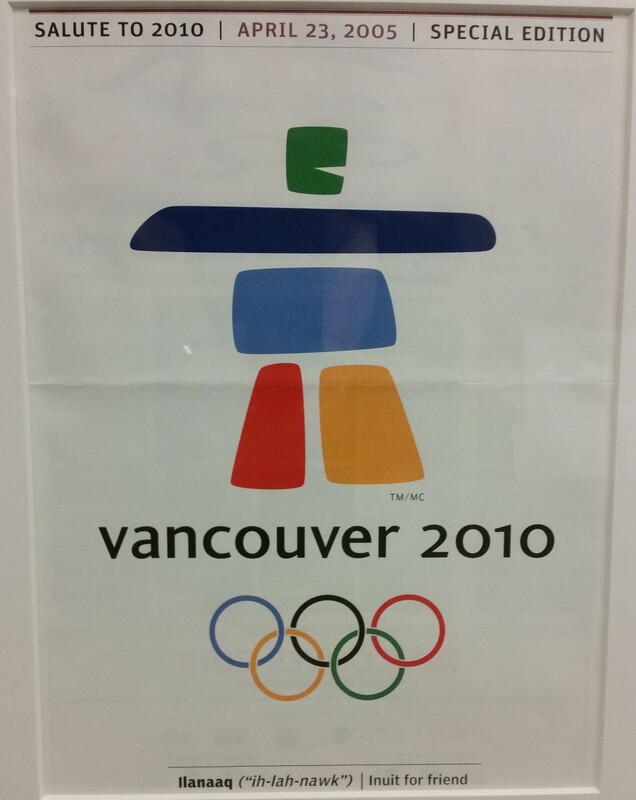 Some are the official posters created by the host organizing committee, others, by the travel industry. 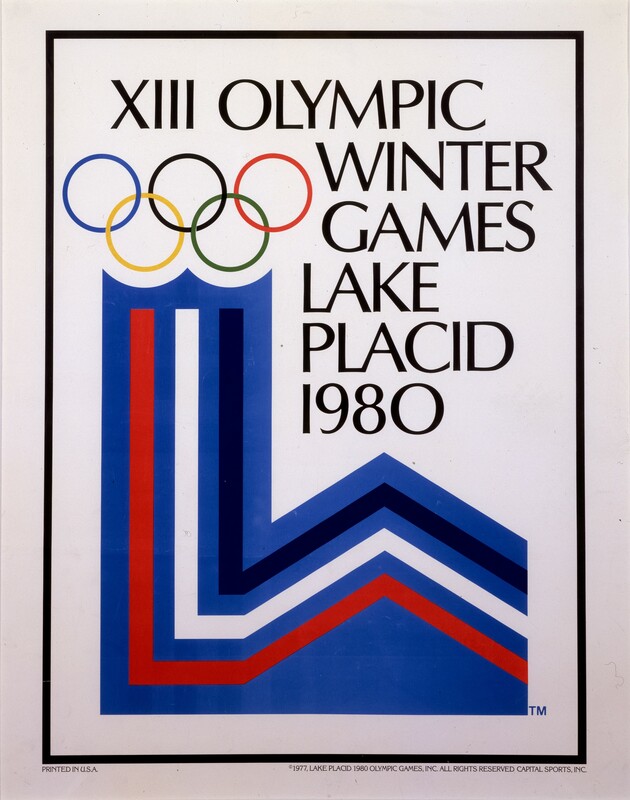 Together, they illustrate the transition from the modern art graphic design of the early to mid-20th century to a more computerized, marketing-driven graphic design branding using Olympic Games emblems as the primary image to announce the Olympic Winter Games. 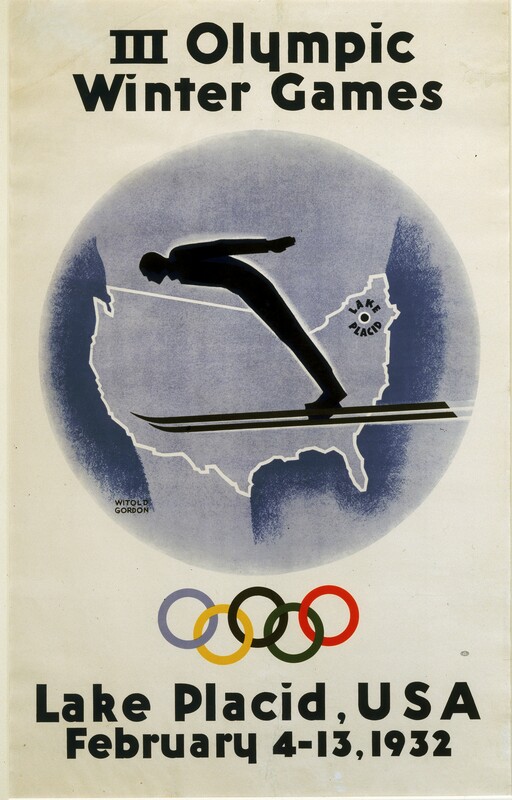 Beginning with the birth of the modern Olympic Games in 1896, posters were used to advertise both the Olympic Games and the Olympic Winter Games. 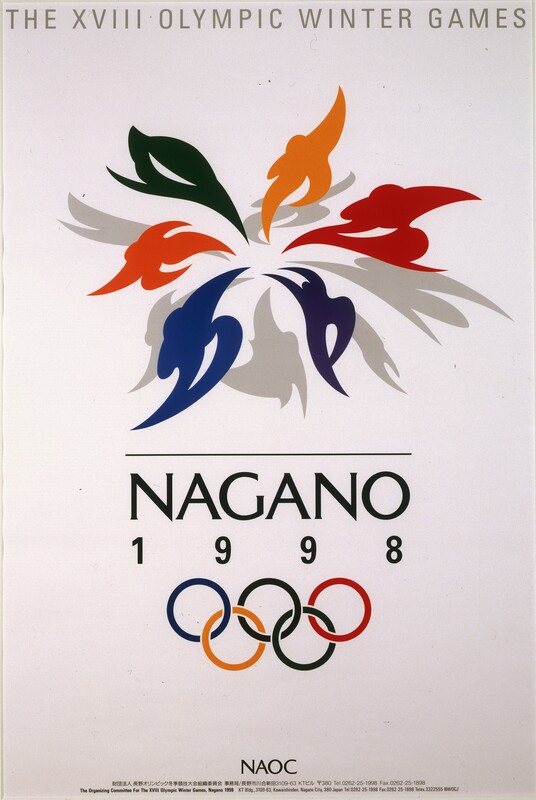 Graphic designers created posters that announced time and location of the games, and highlighted sports associated with the games. 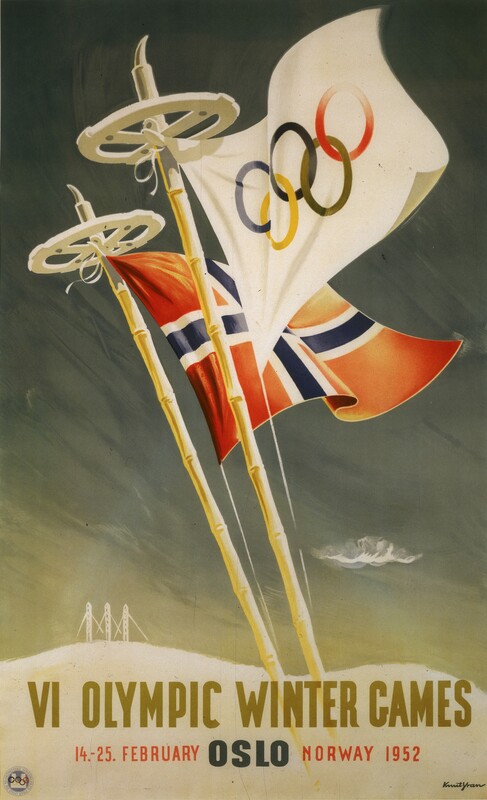 After 1928, the most significant unifying element of the Olympic Games posters was the inclusion of the Olympic Rings. 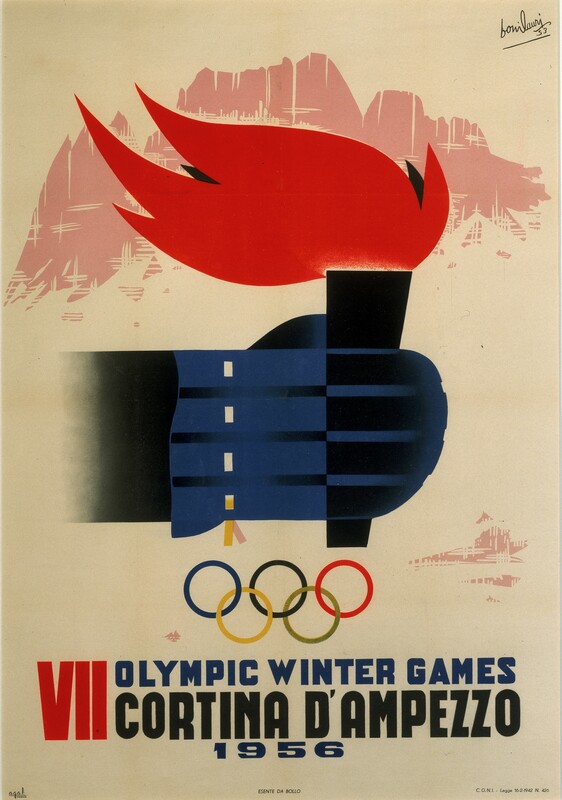 In many instances, travel posters were used to promote the Olympic Winter Games. 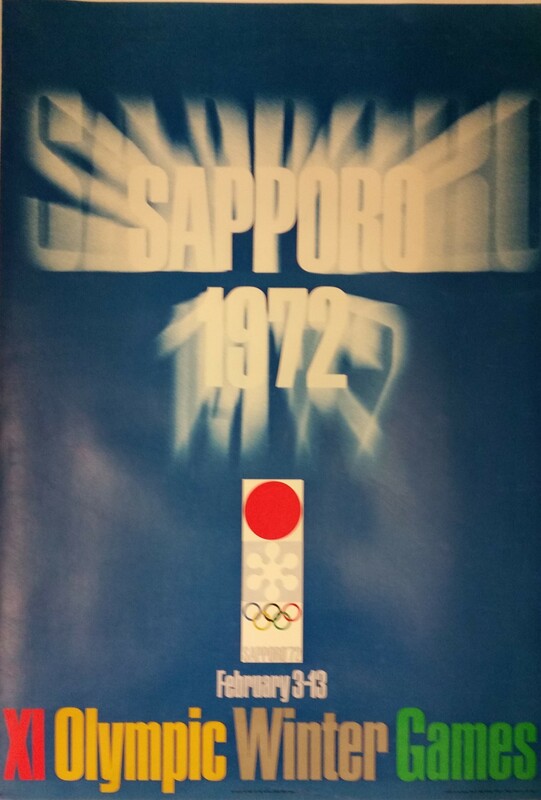 Organizing committees screened the Olympic rings or added the time and place the Games were to be held onto existing travel posters. Beginning late in the 20th century, advancements in communication and technology made some elements of Olympic Games posters obsolete. Communications through radio, television, the internet and social media have removed the necessity for an advertising poster to promote the Olympic Games. 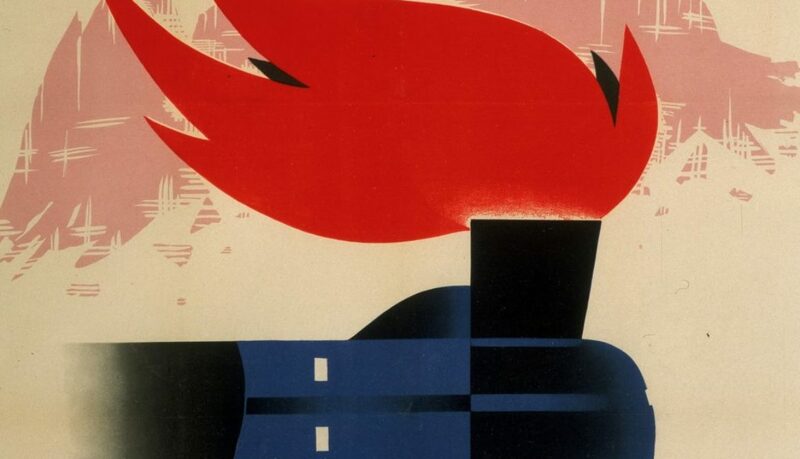 The posters now produced are more of a design element of these 21st century Olympic Winter Games.